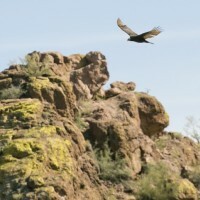 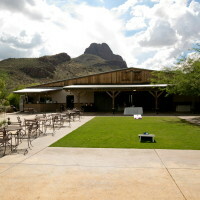 Stardance is located on the northwest side of Tucson butted up against Sombrero Peak. 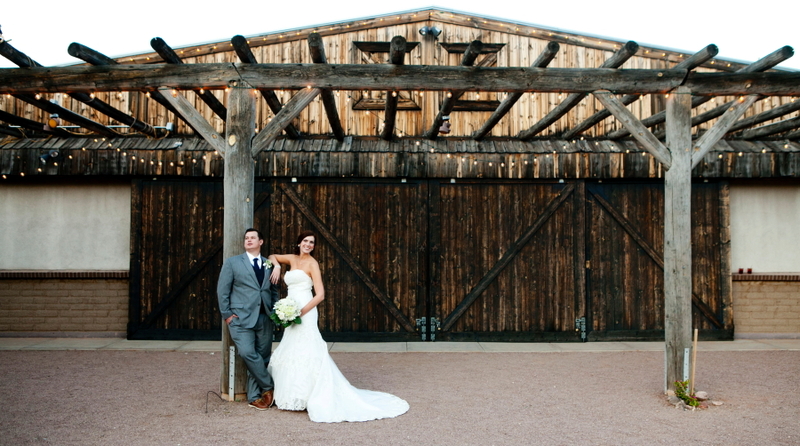 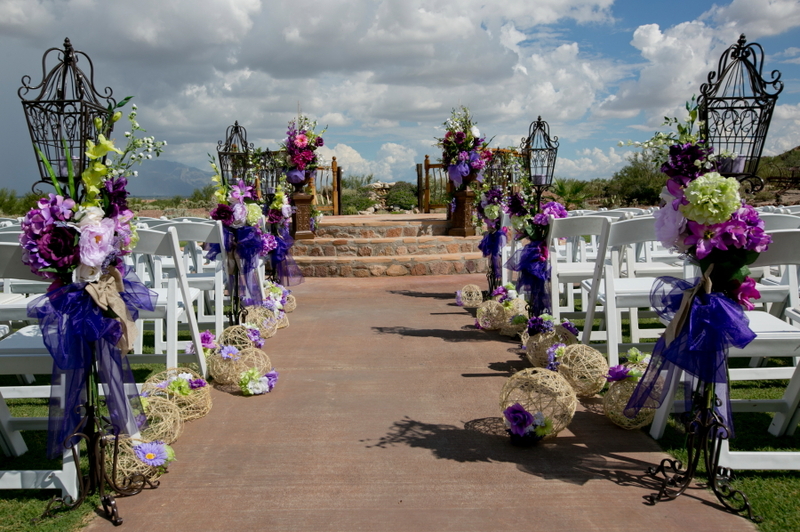 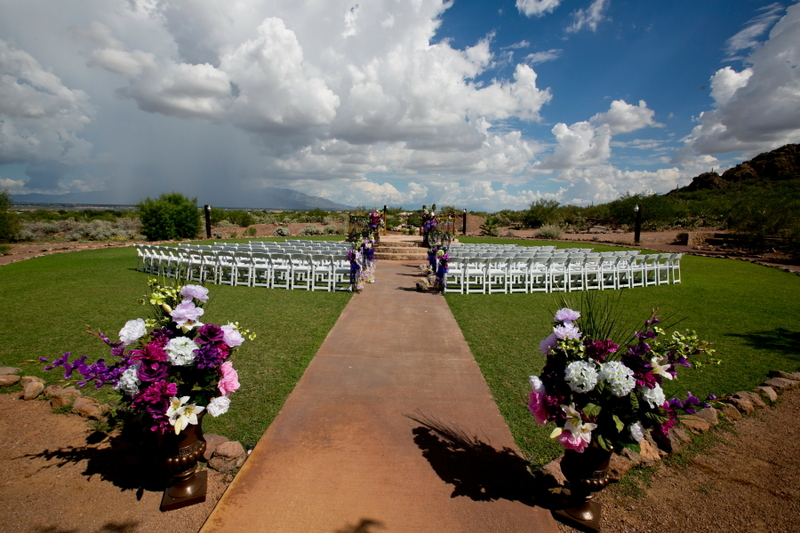 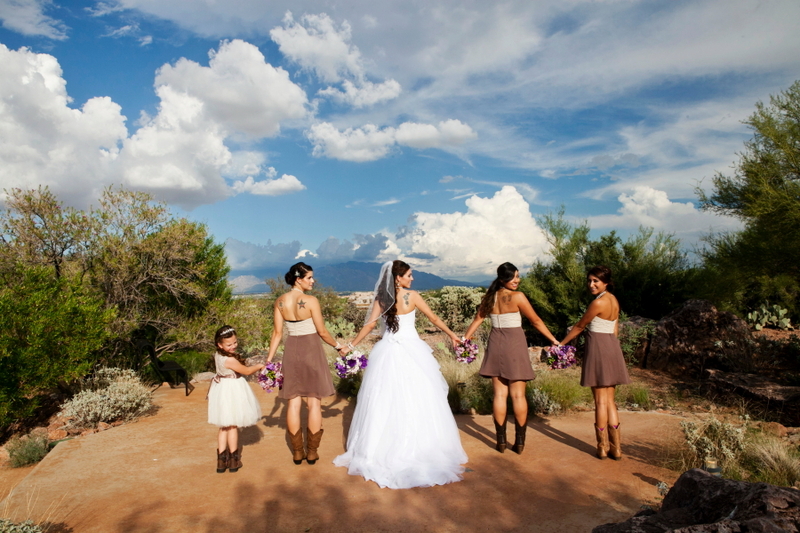 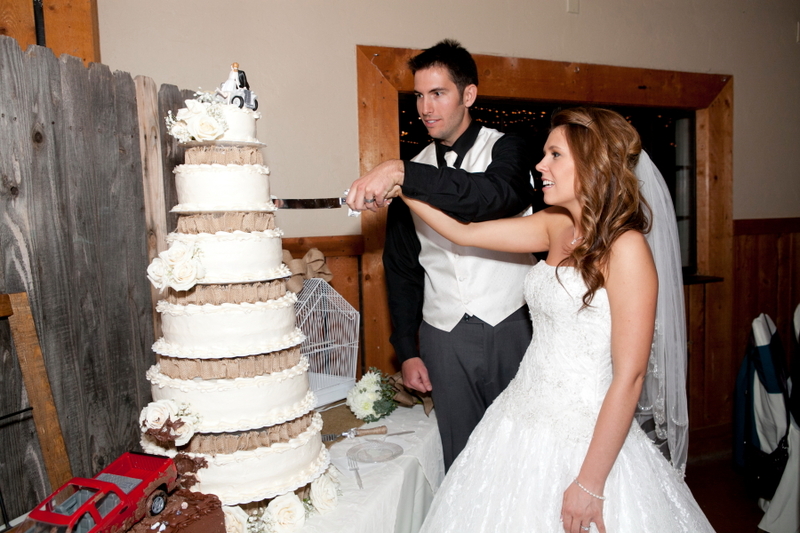 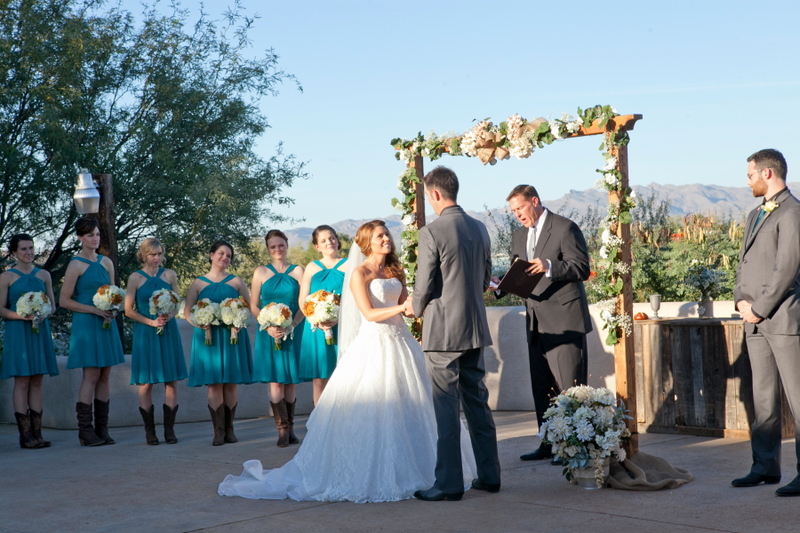 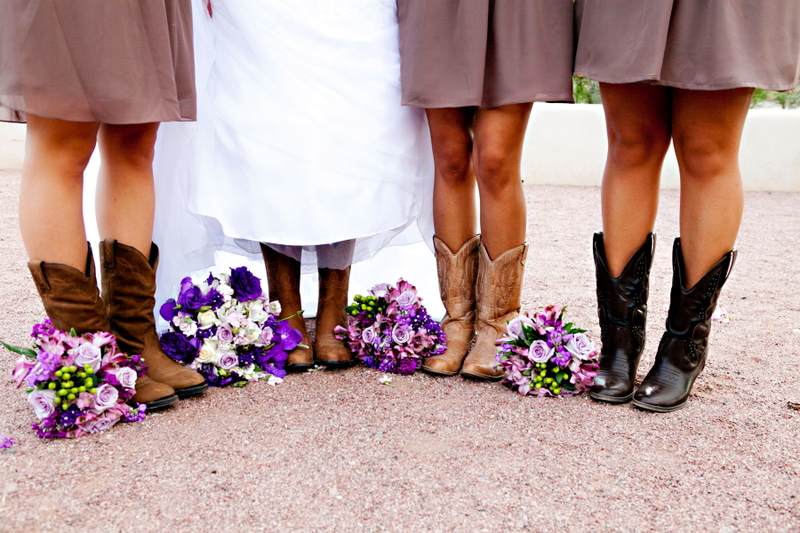 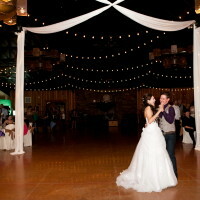 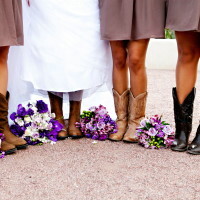 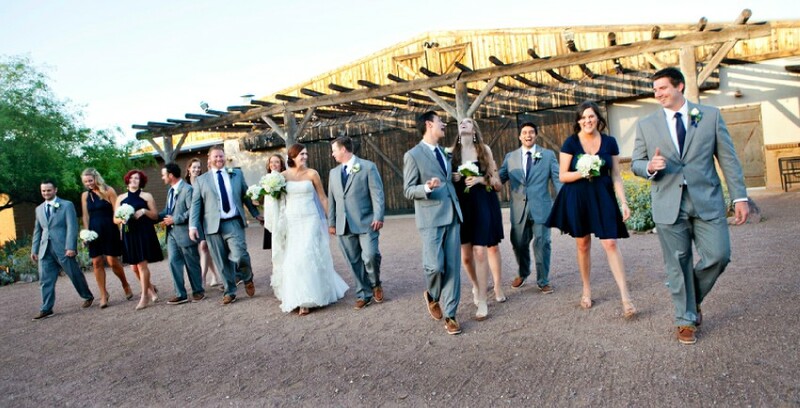 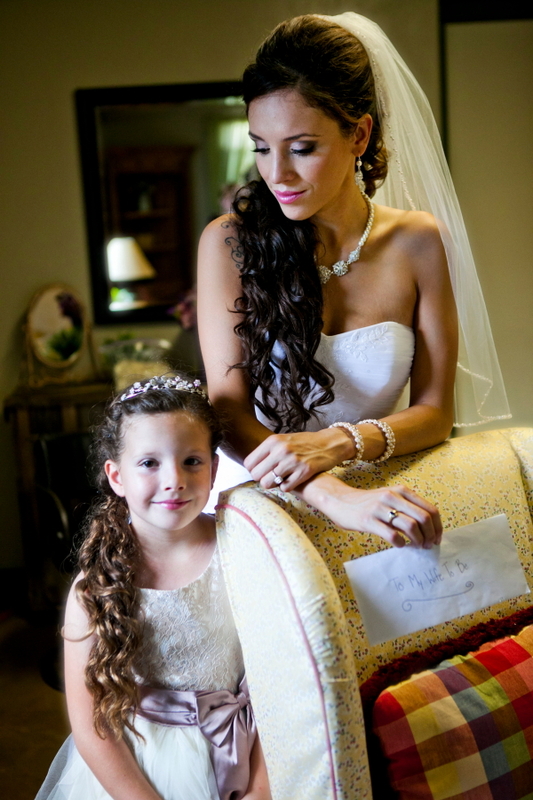 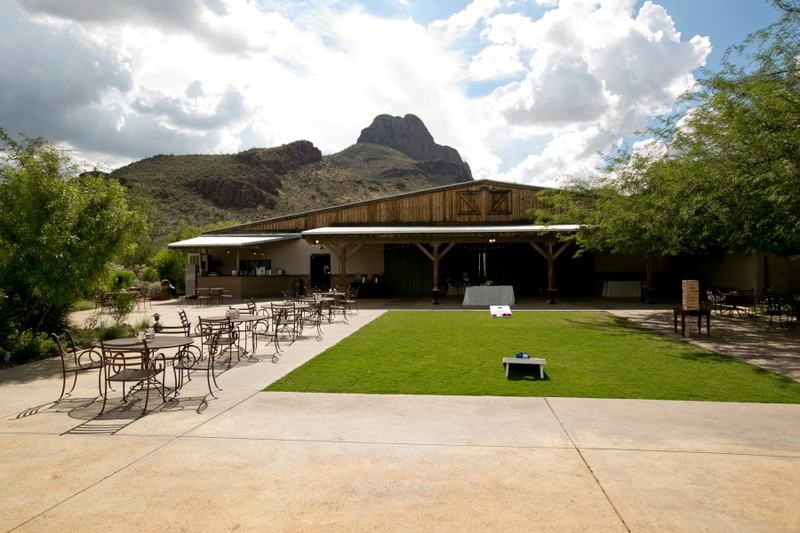 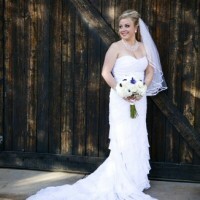 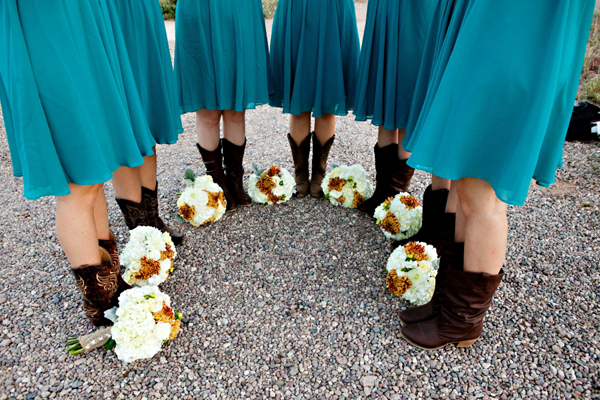 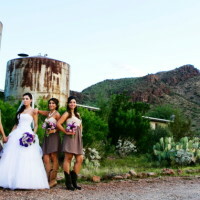 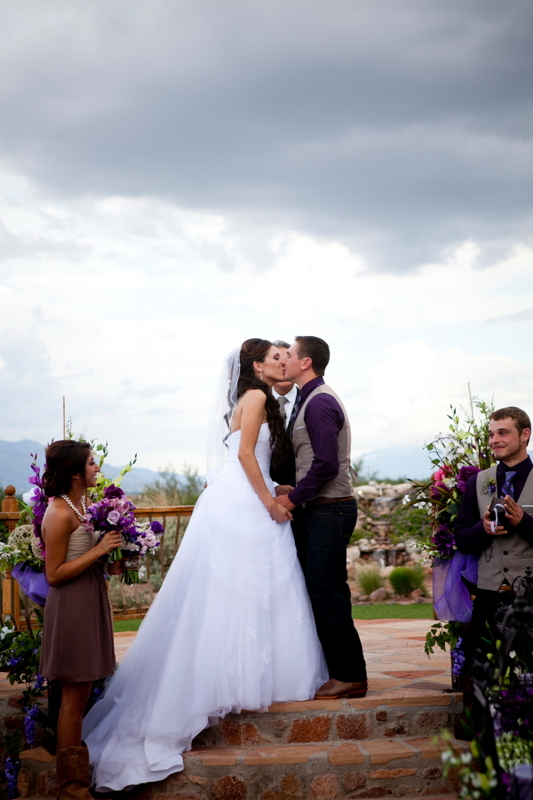 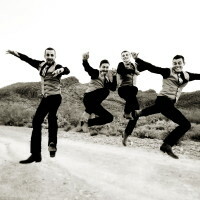 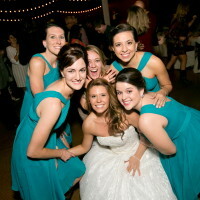 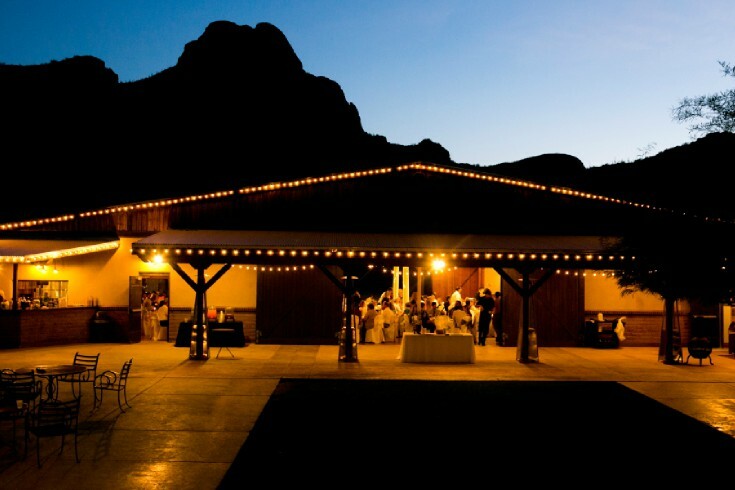 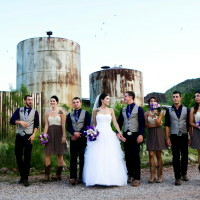 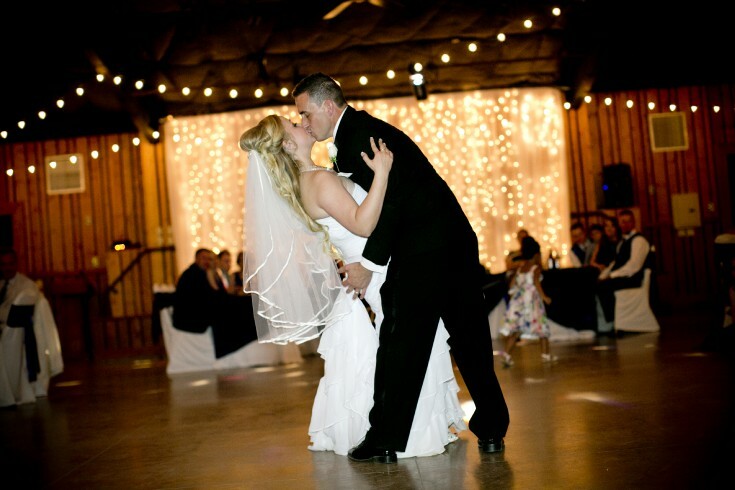 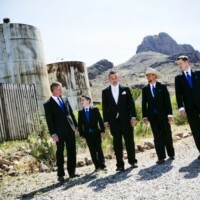 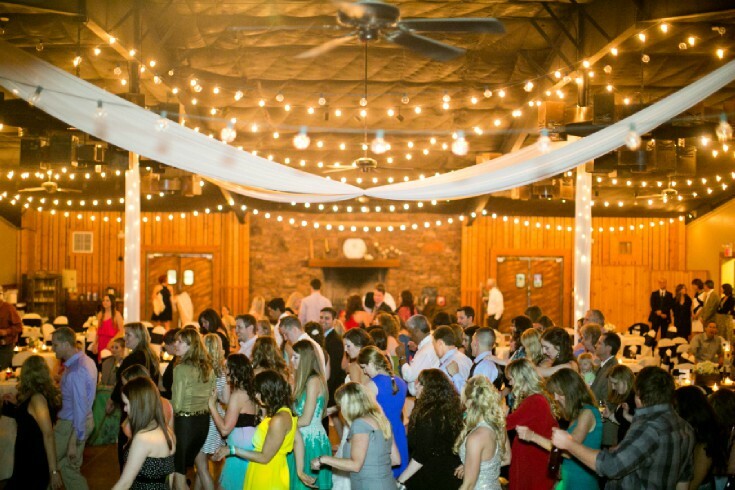 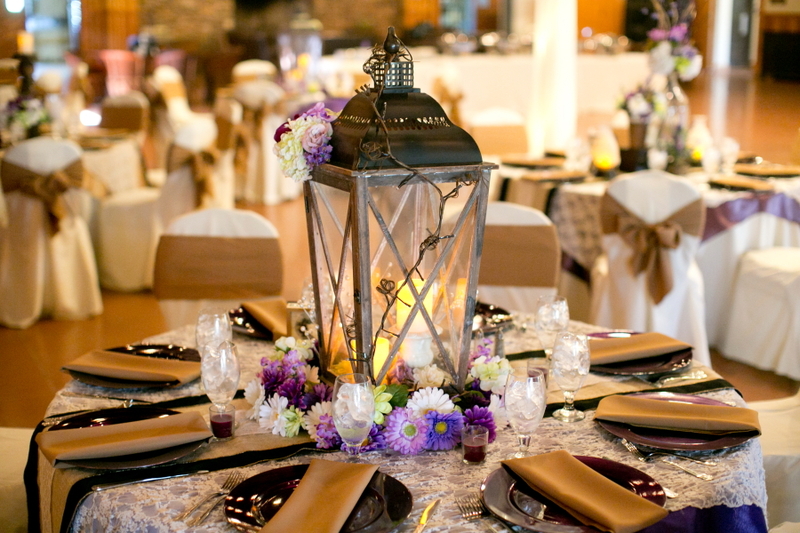 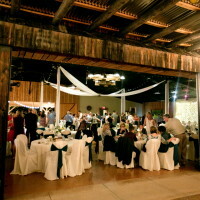 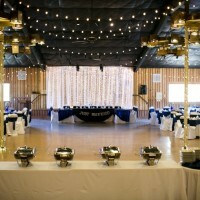 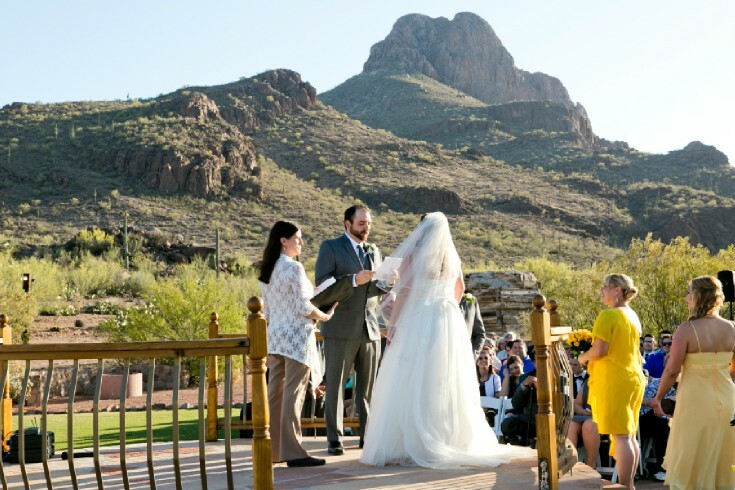 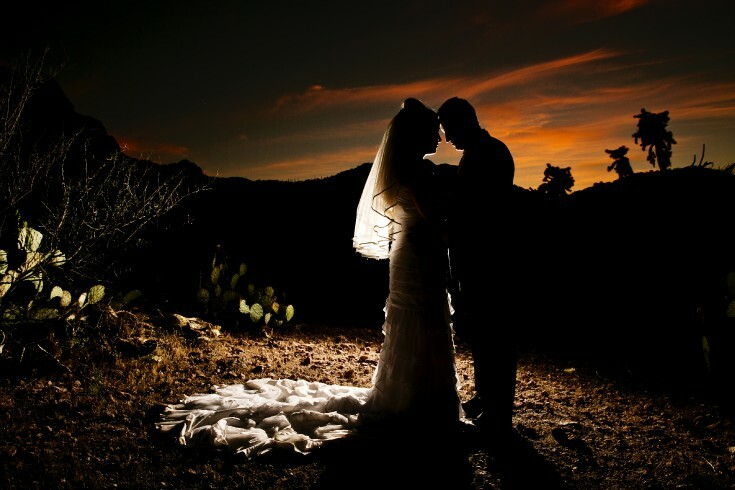 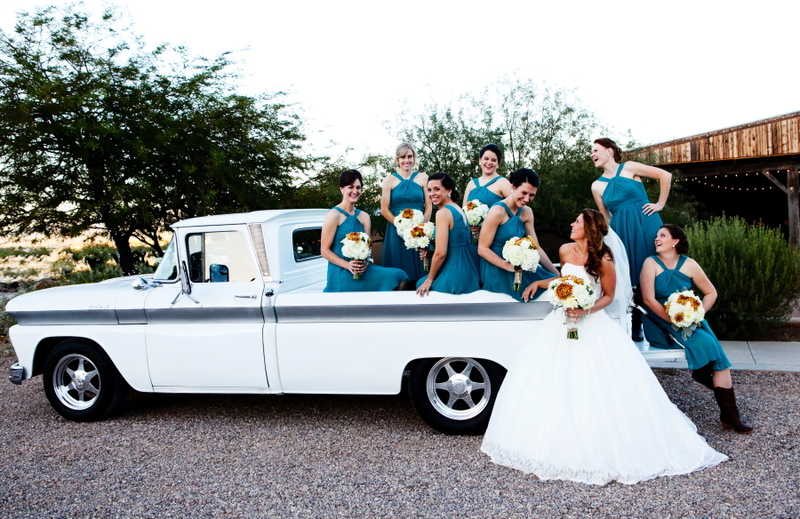 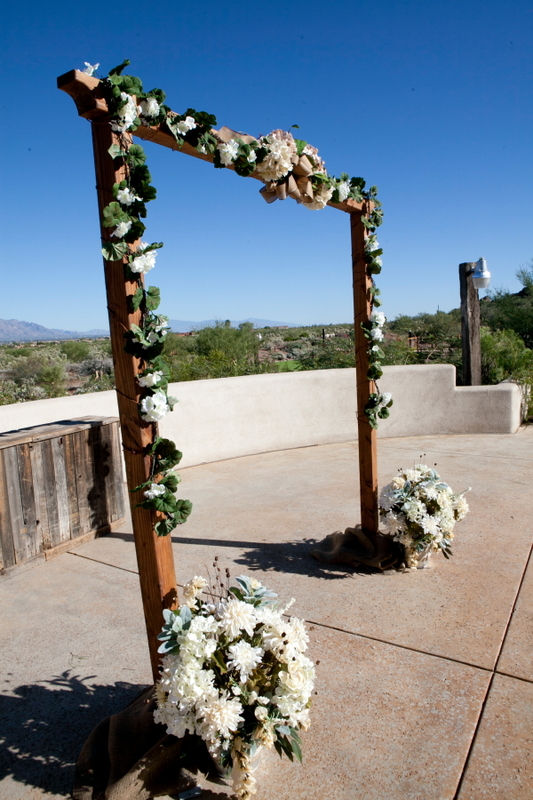 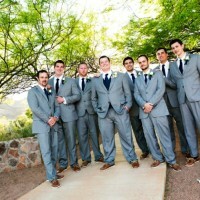 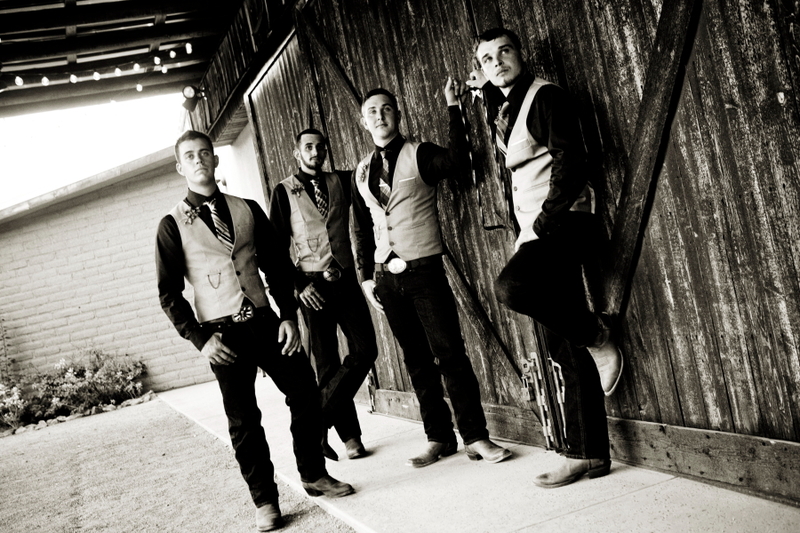 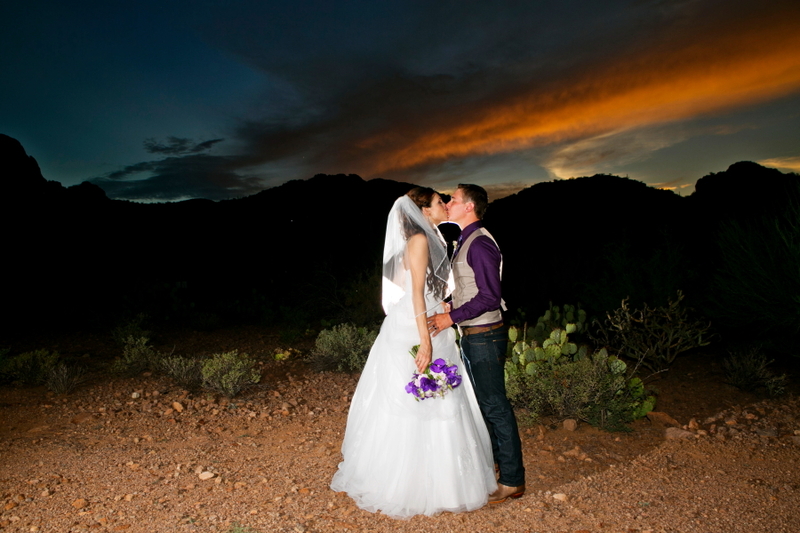 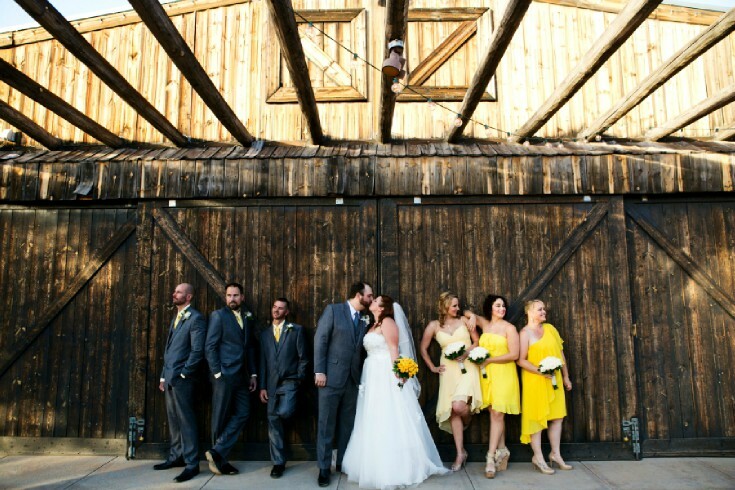 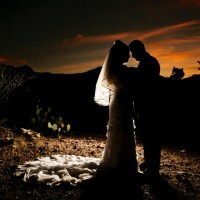 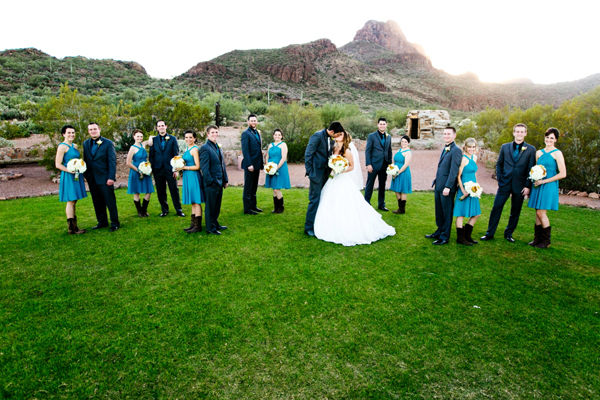 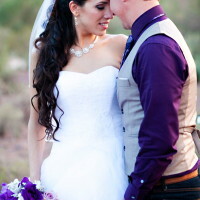 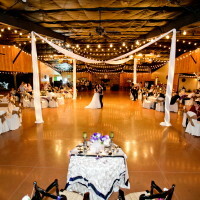 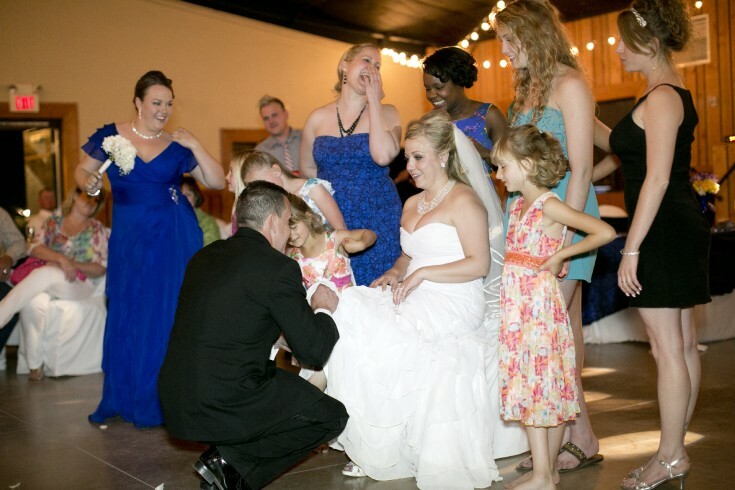 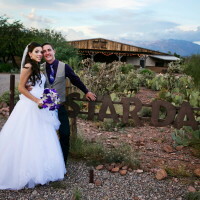 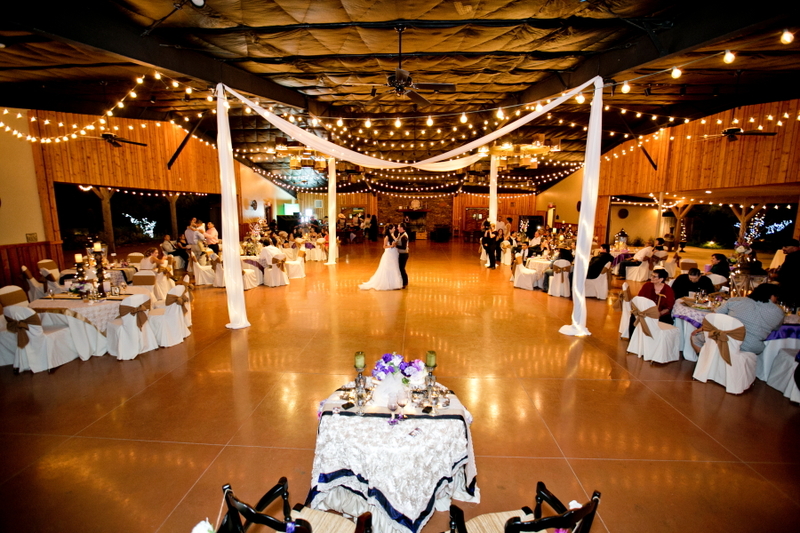 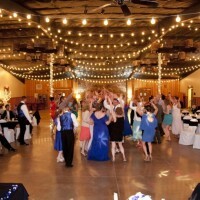 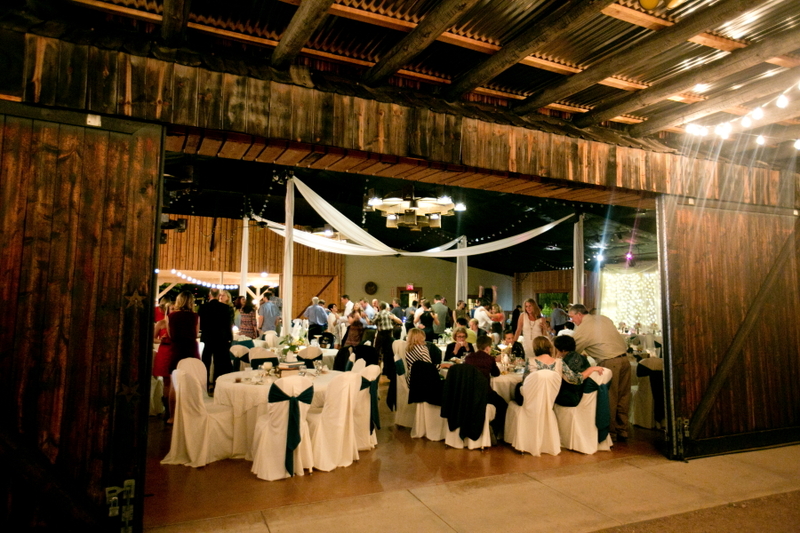 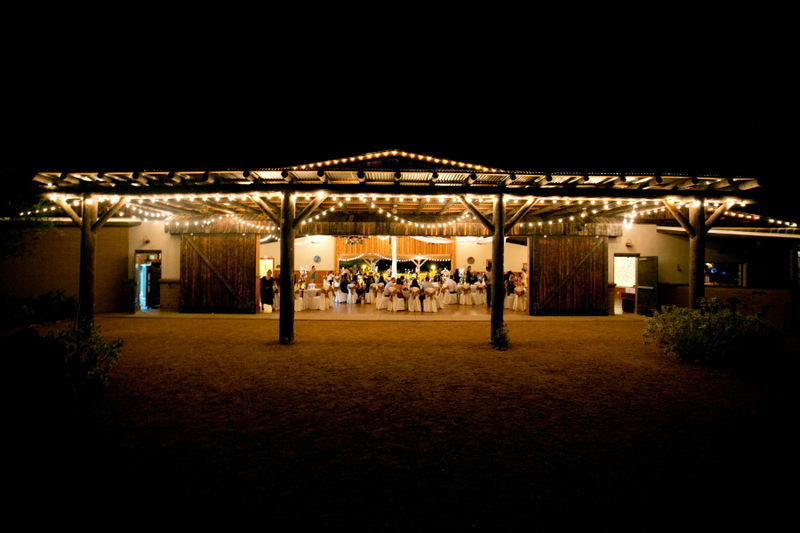 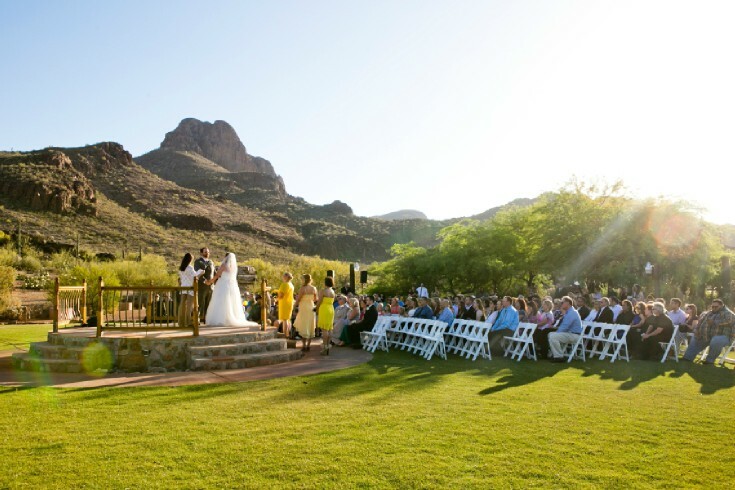 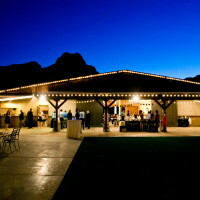 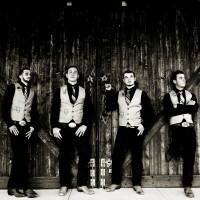 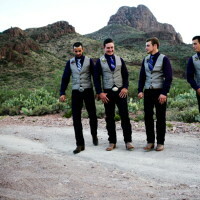 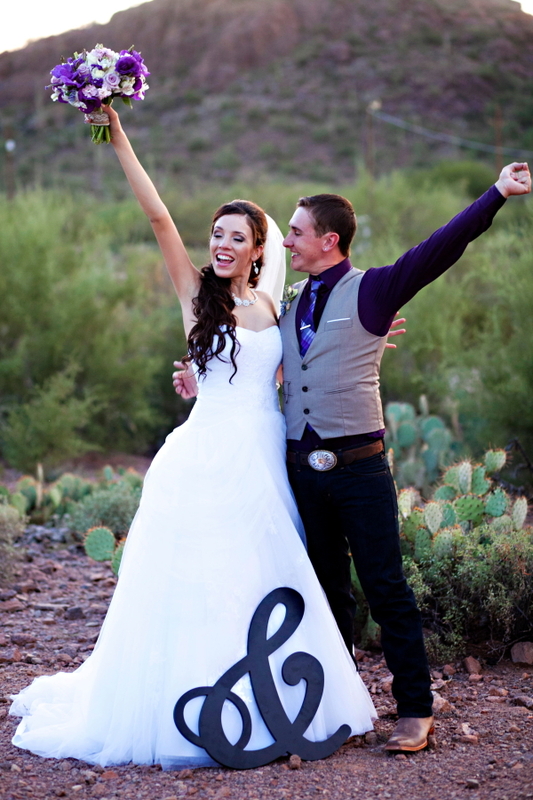 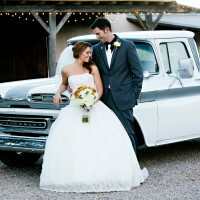 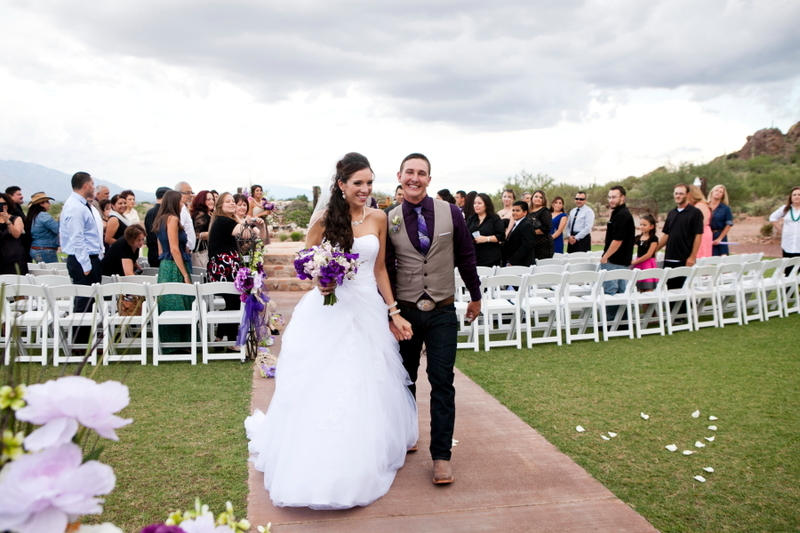 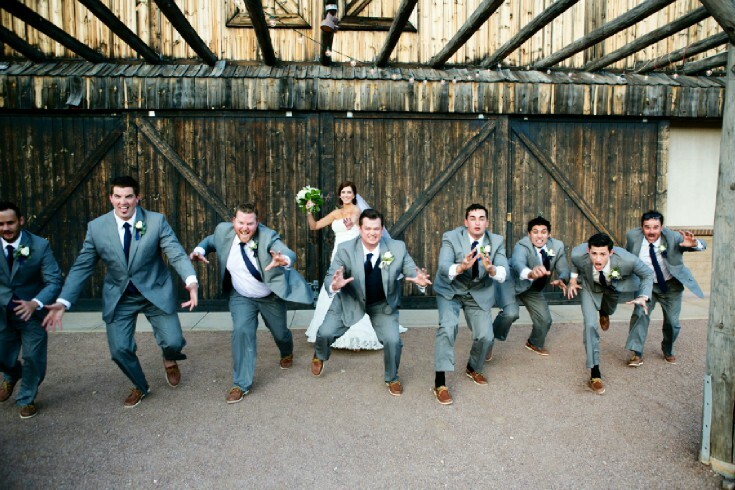 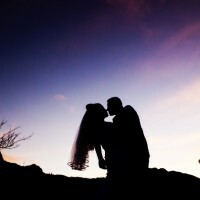 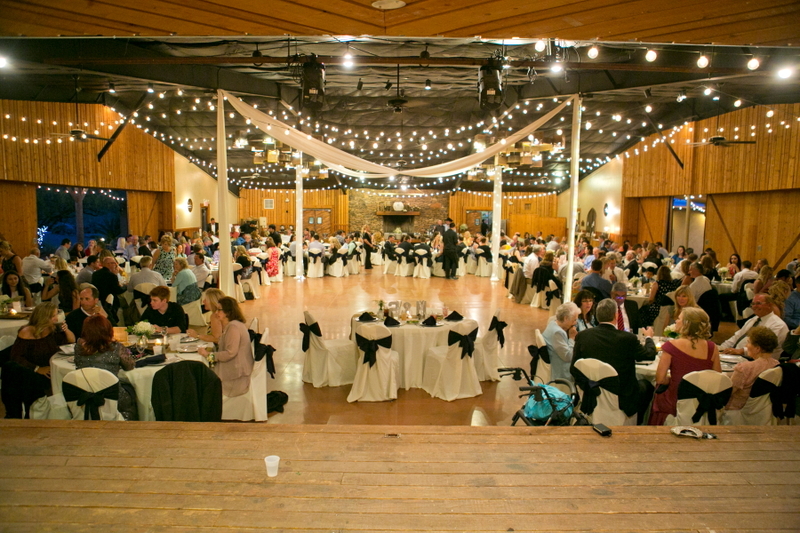 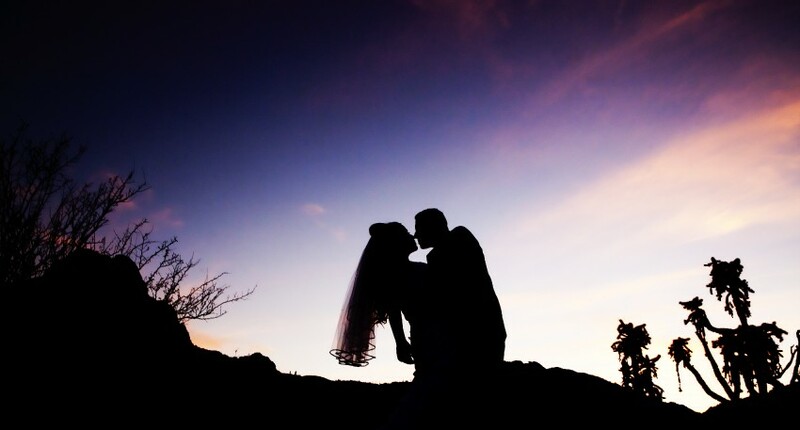 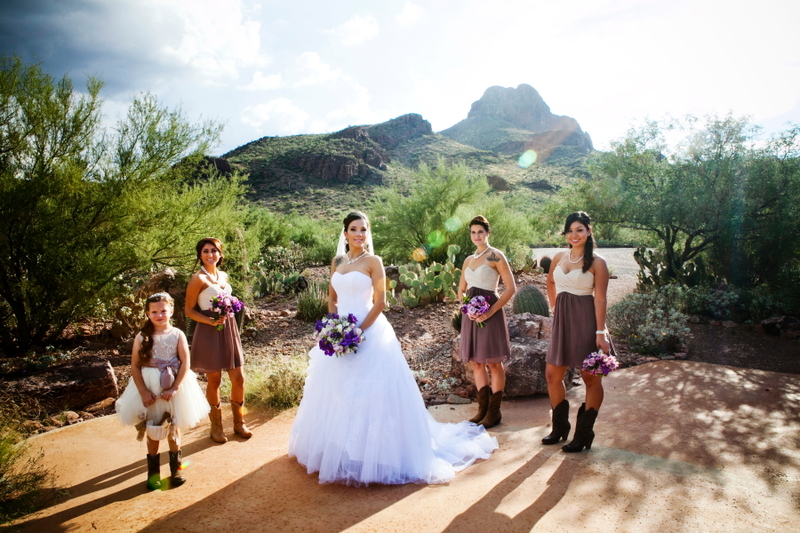 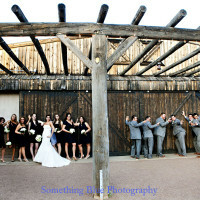 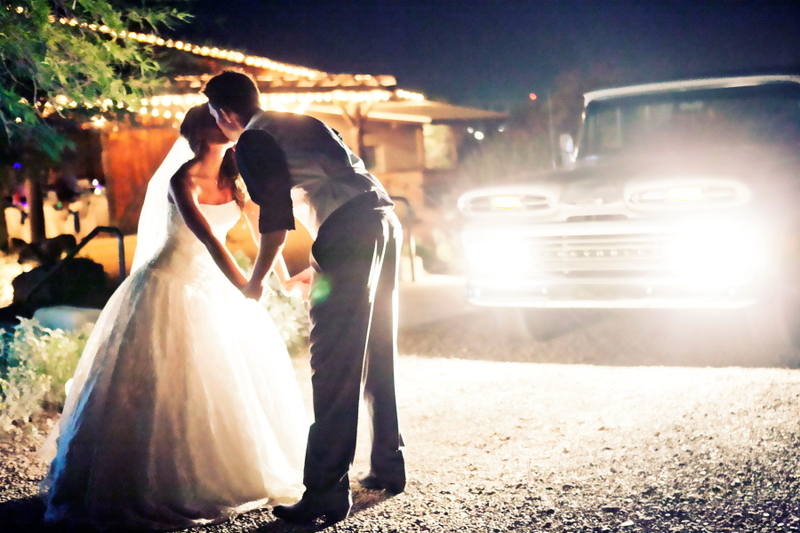 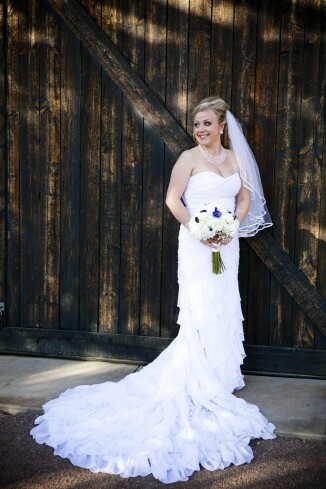 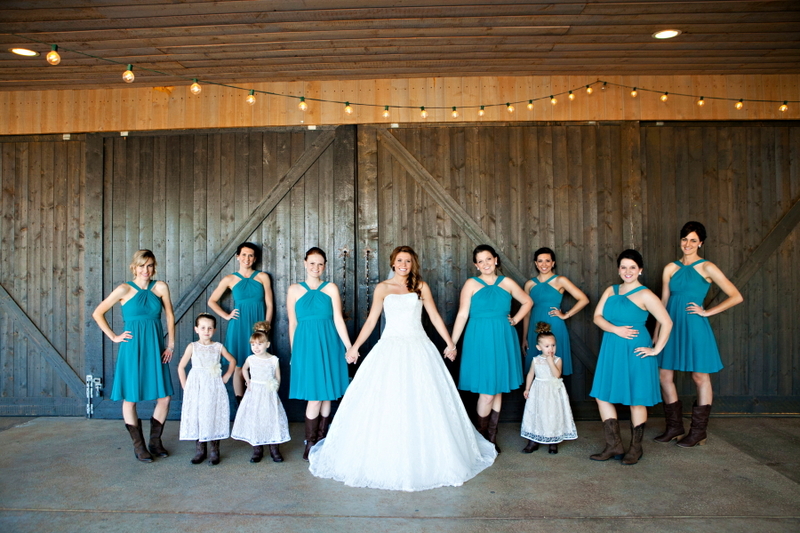 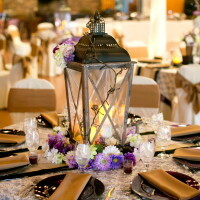 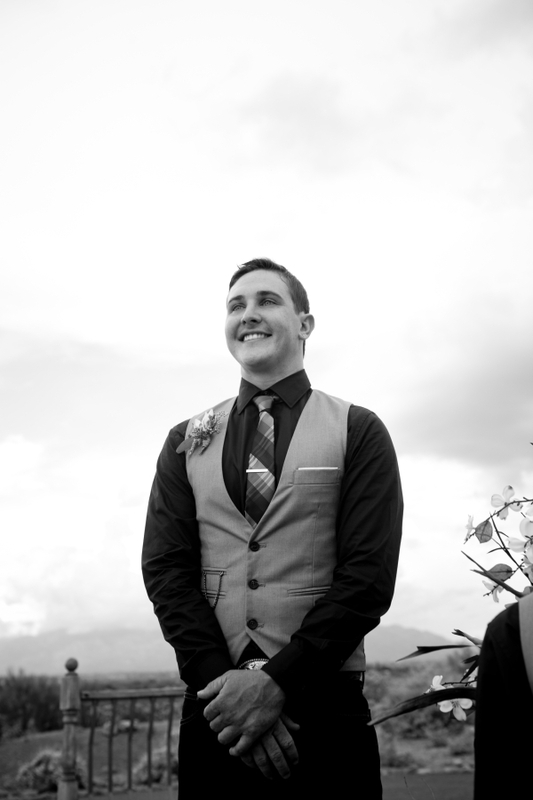 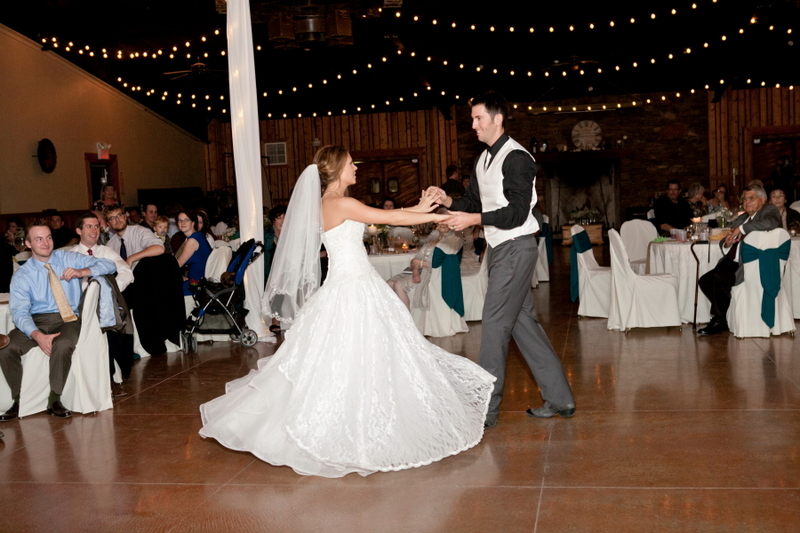 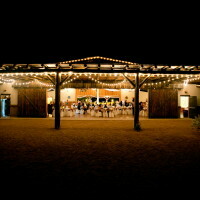 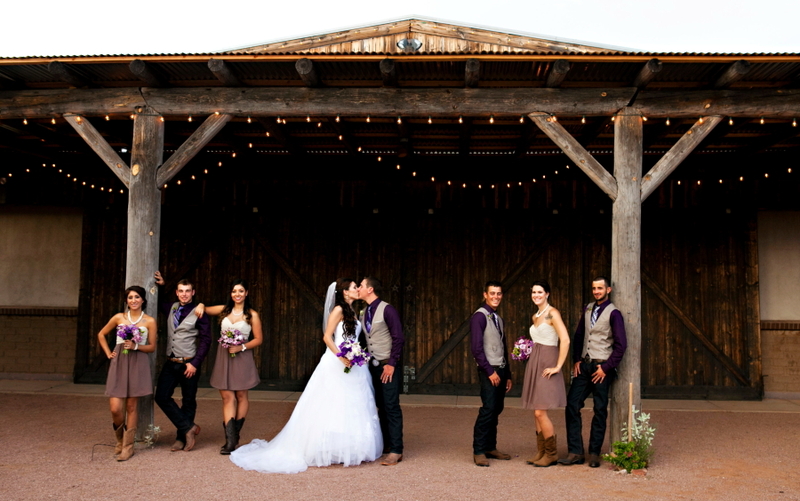 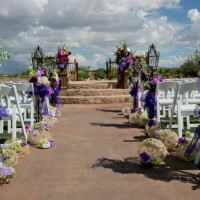 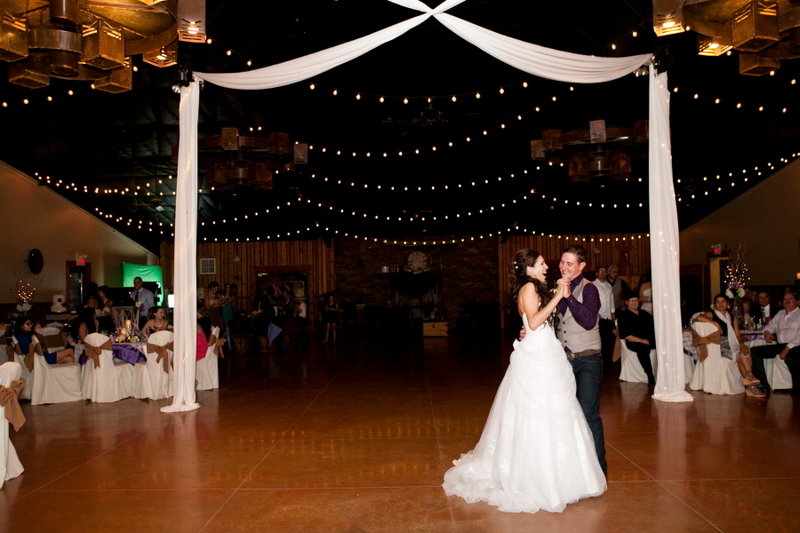 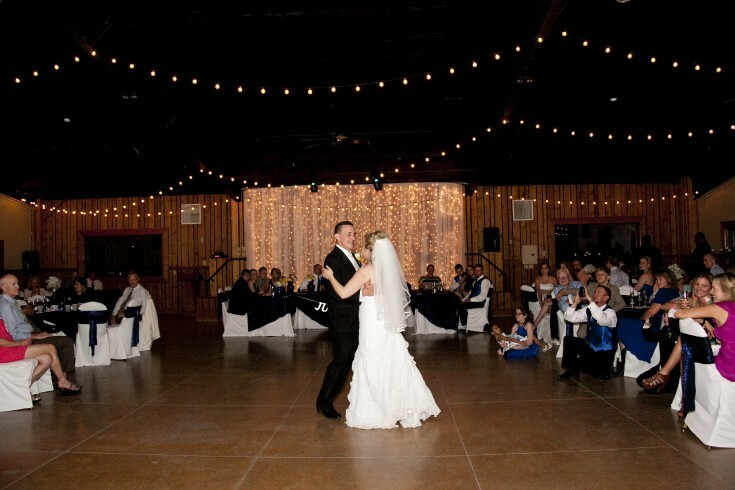 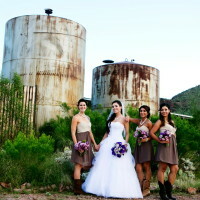 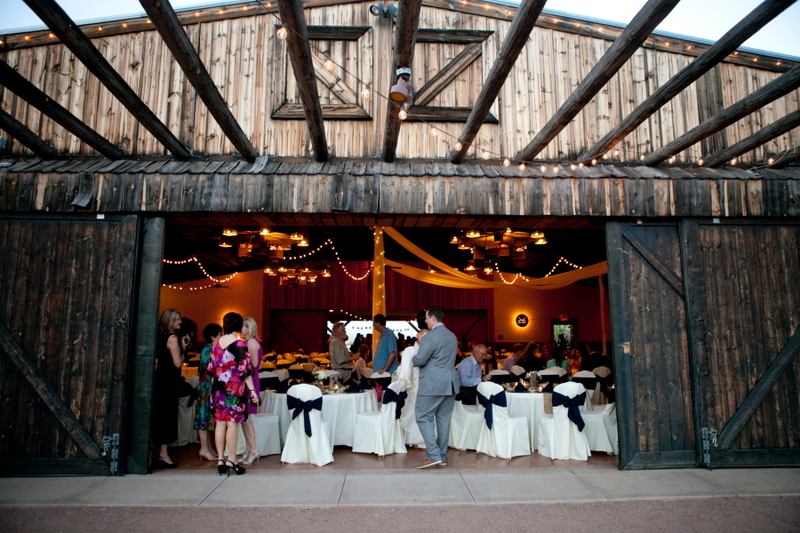 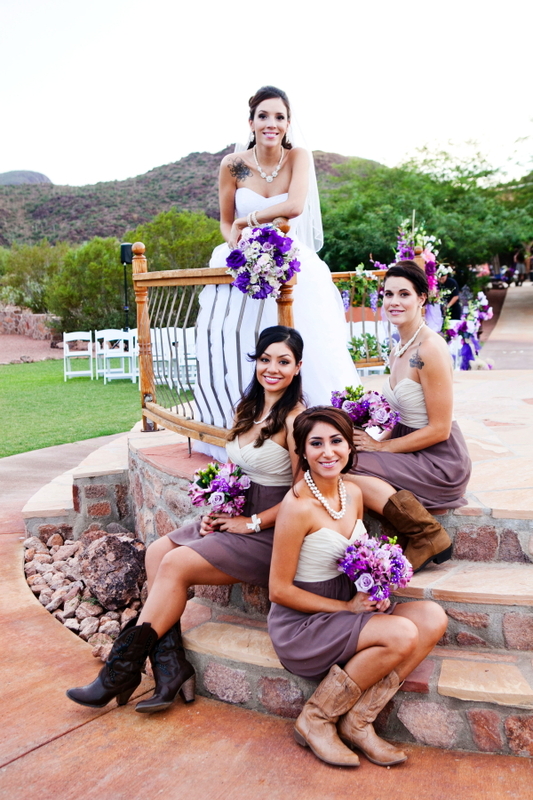 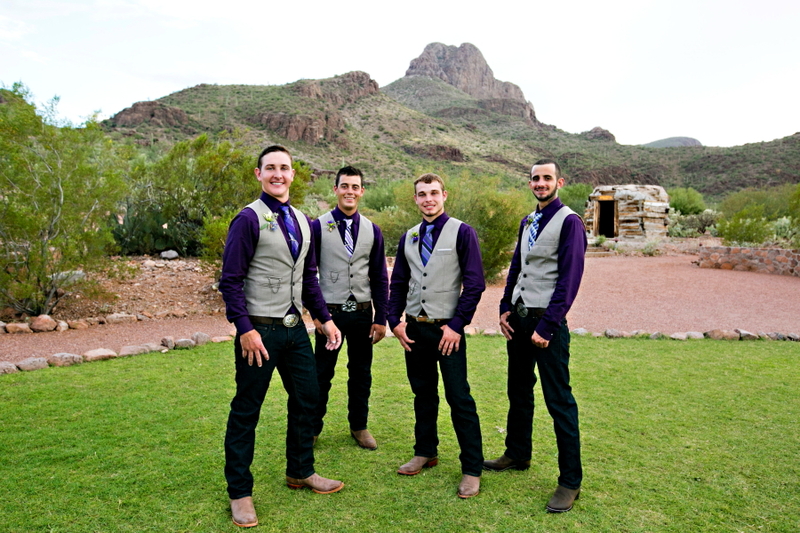 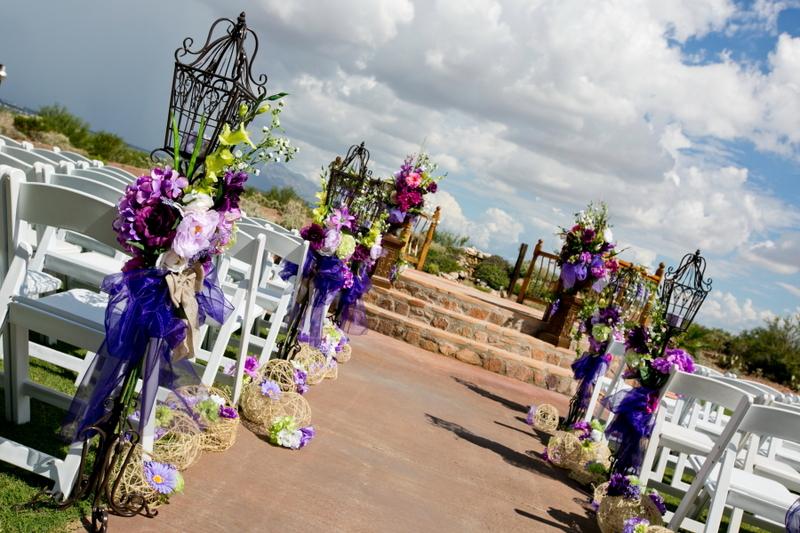 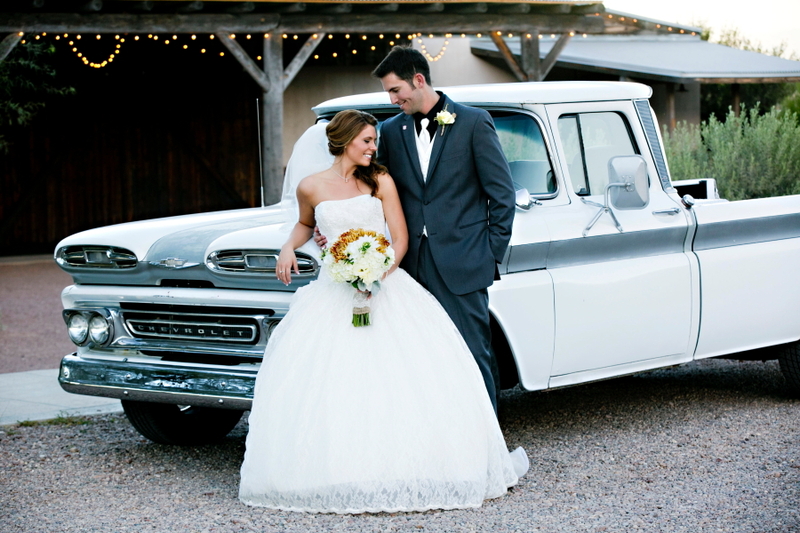 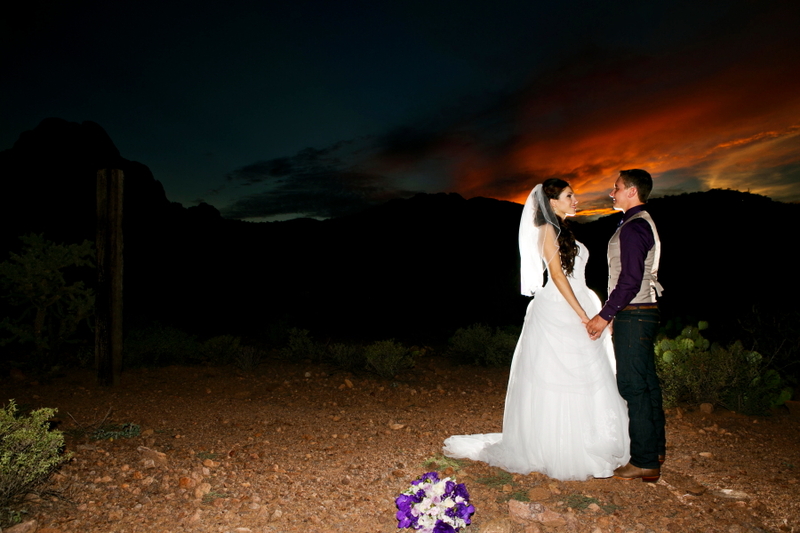 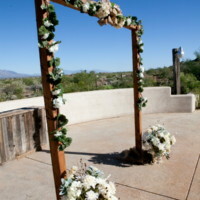 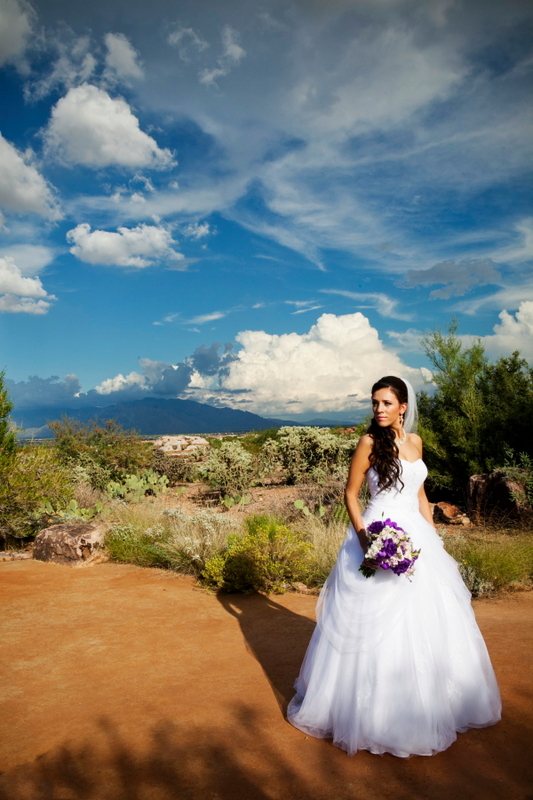 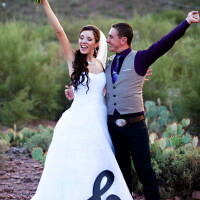 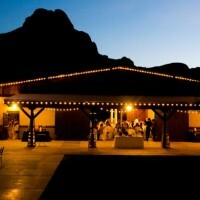 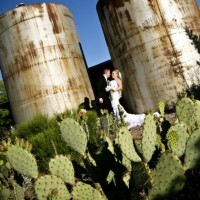 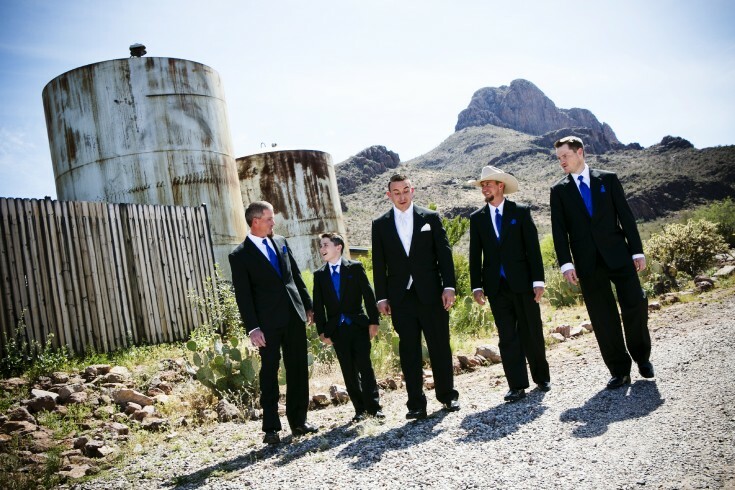 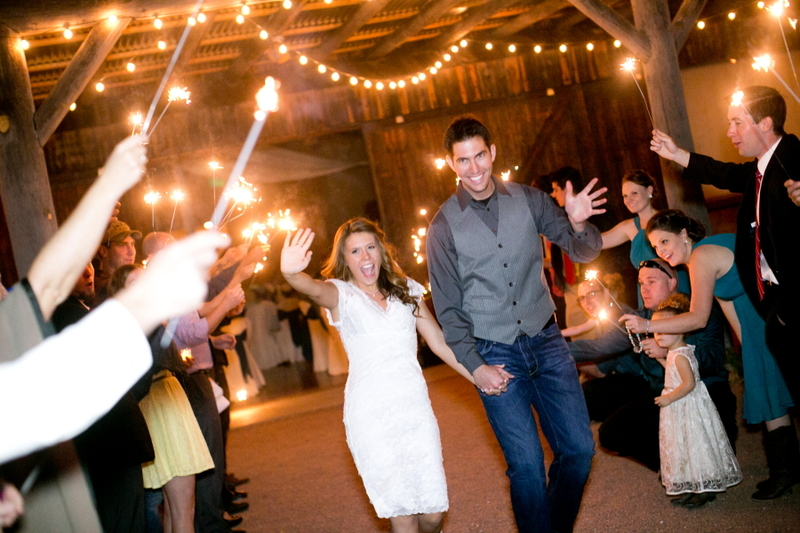 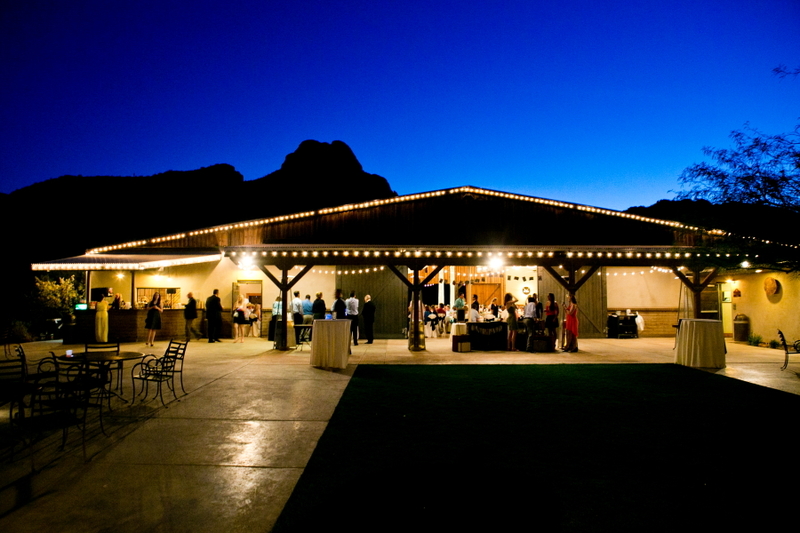 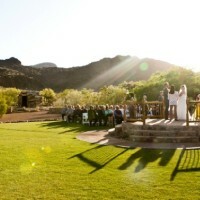 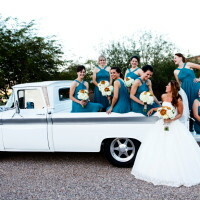 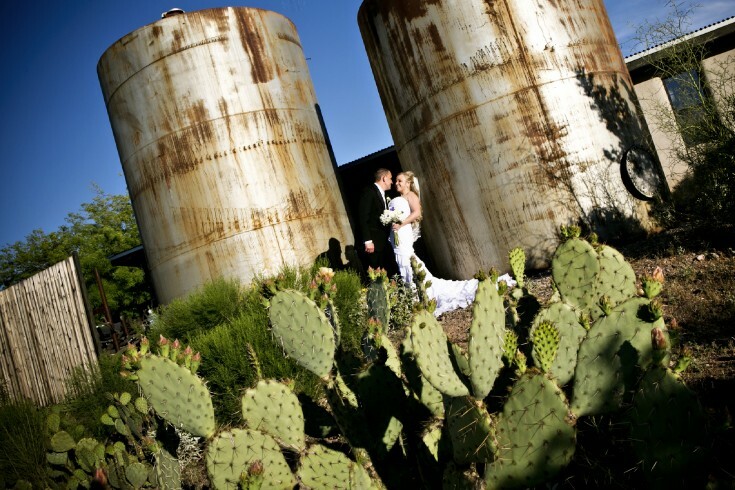 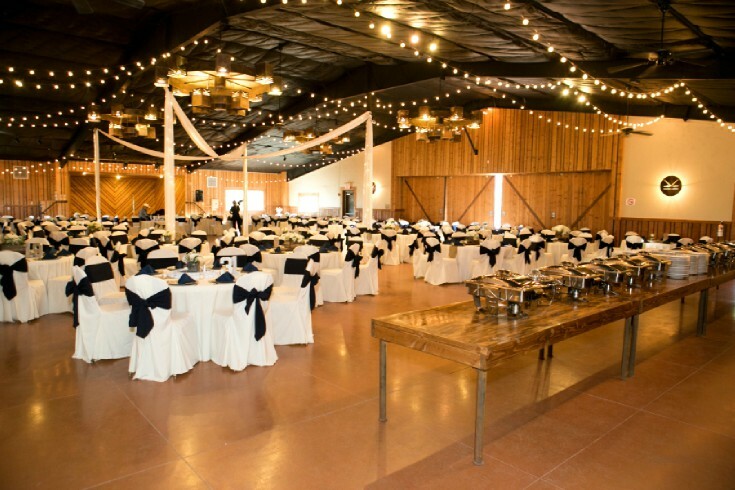 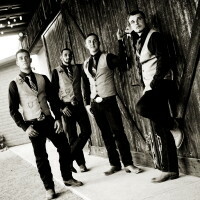 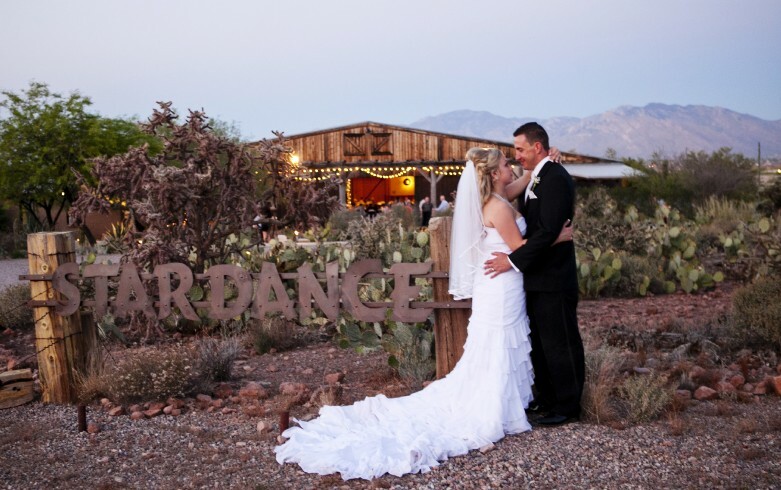 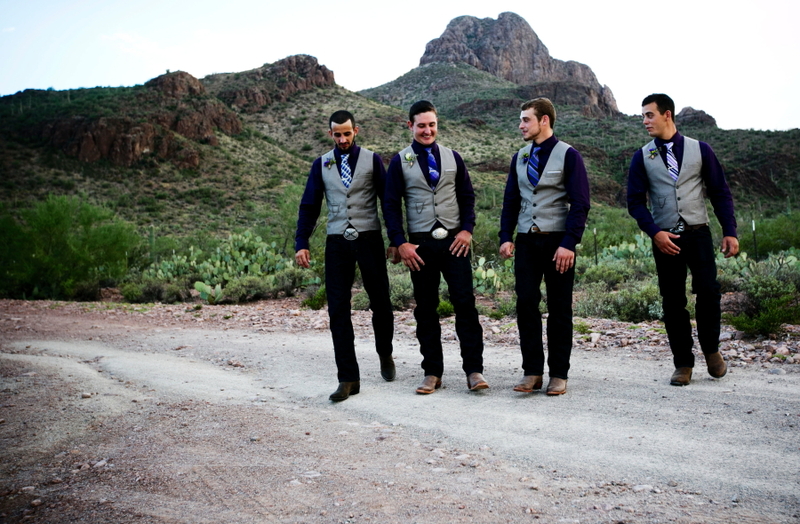 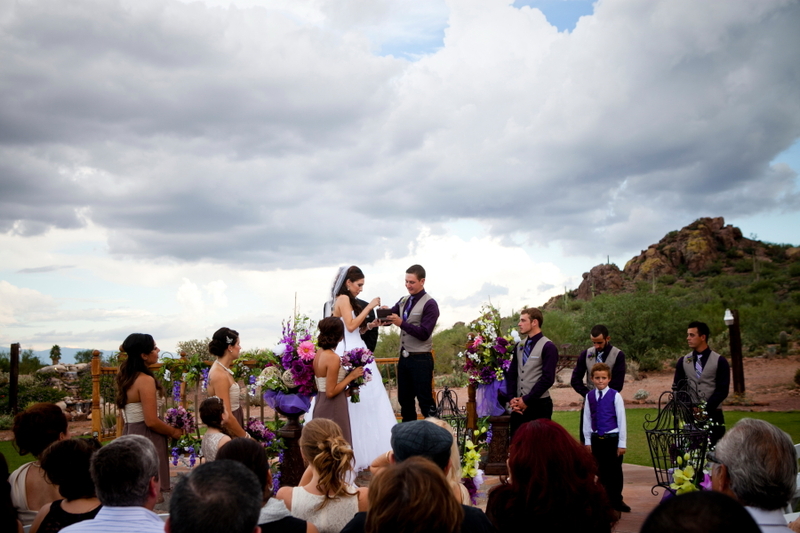 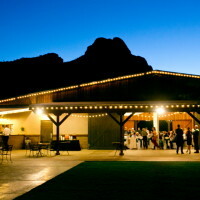 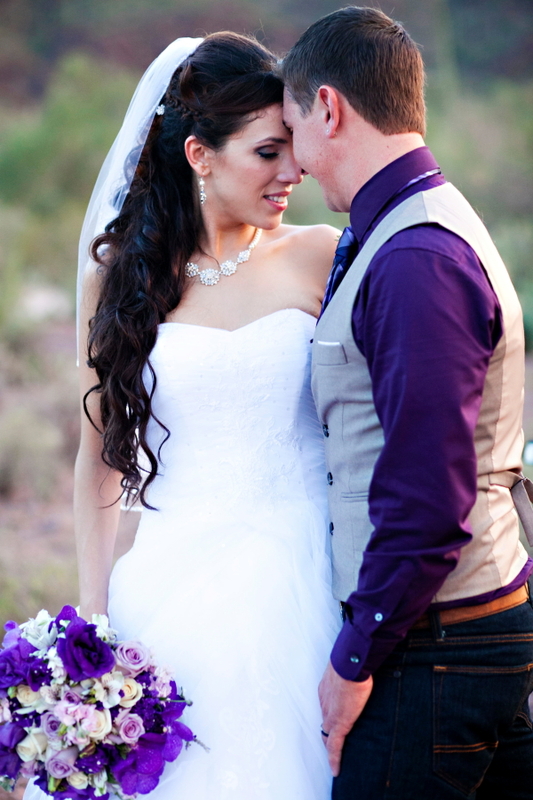 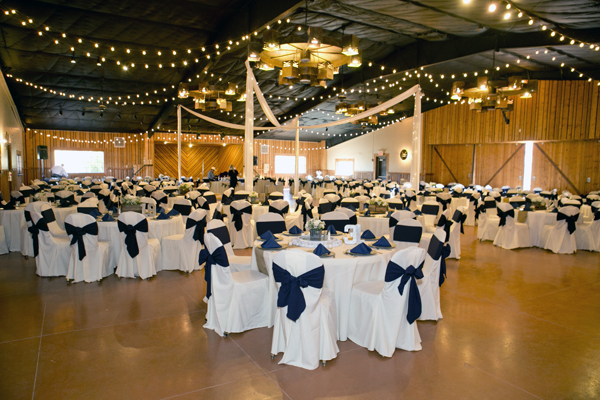 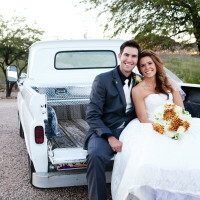 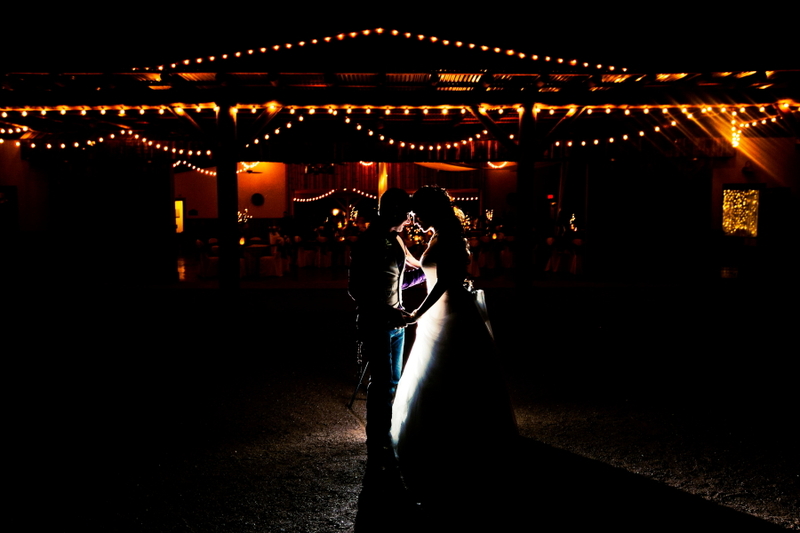 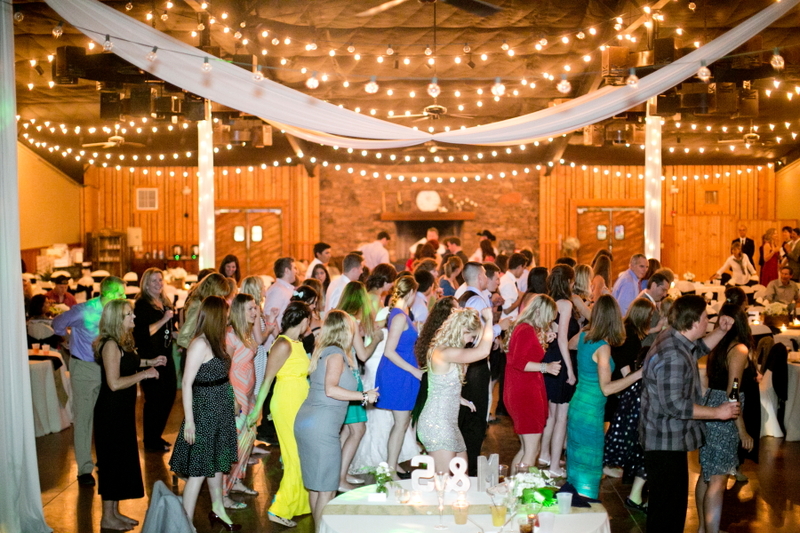 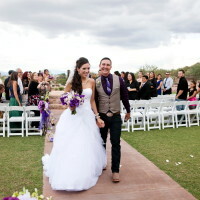 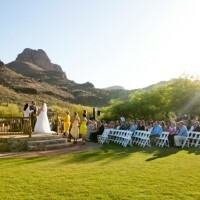 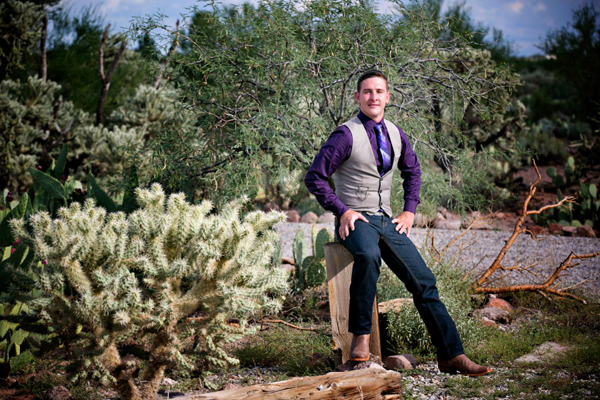 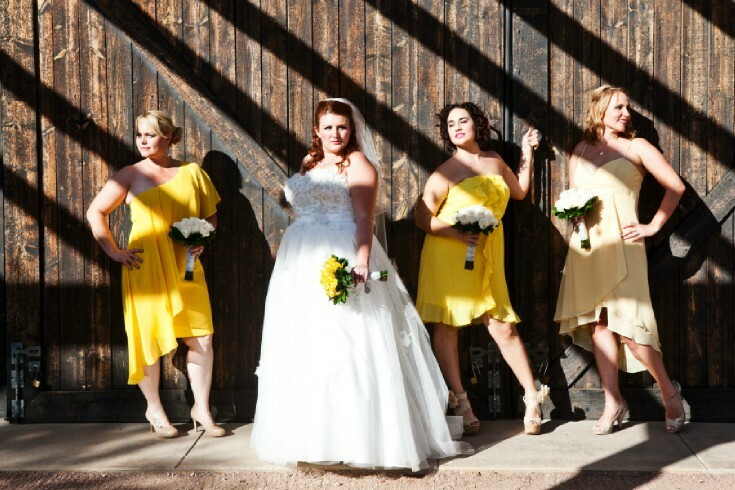 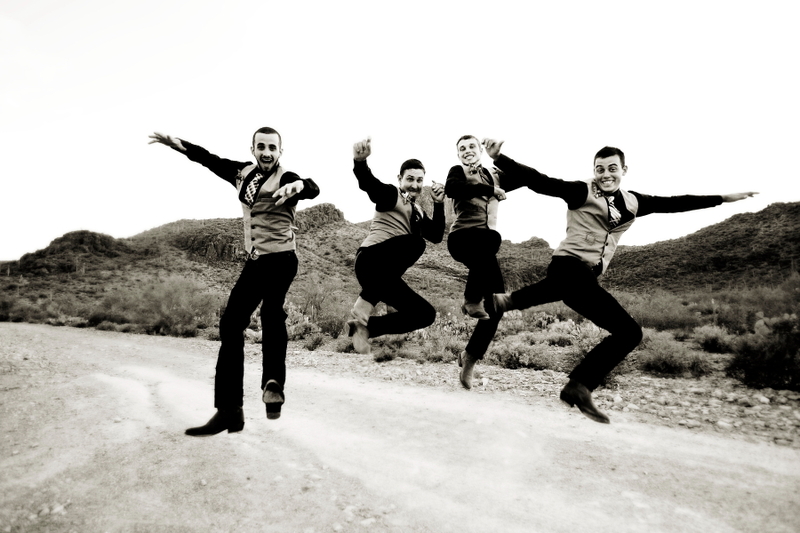 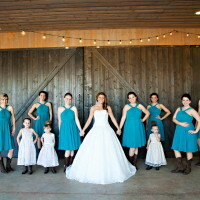 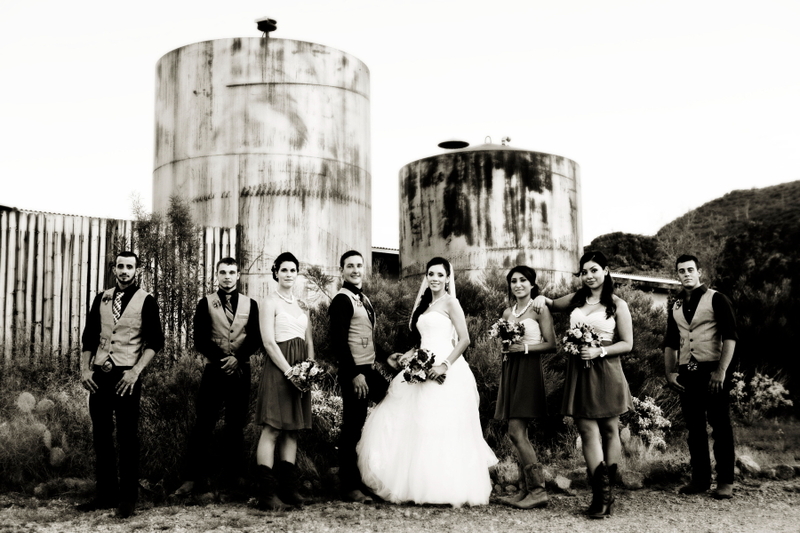 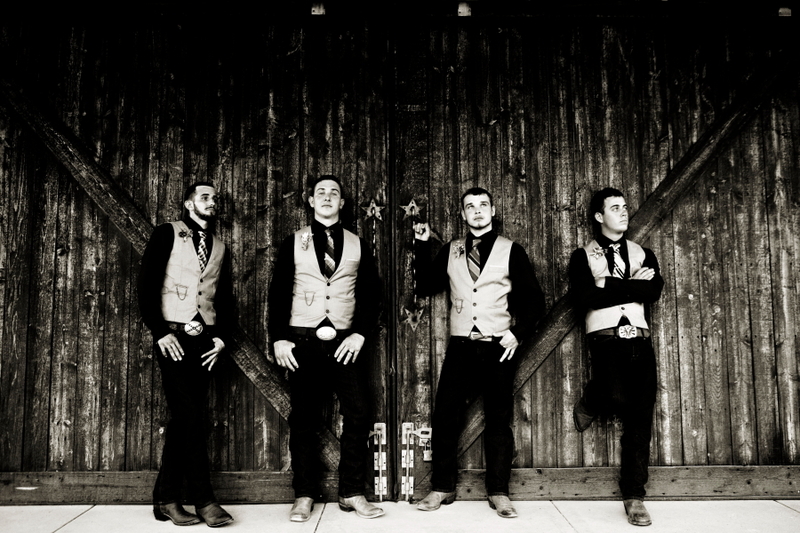 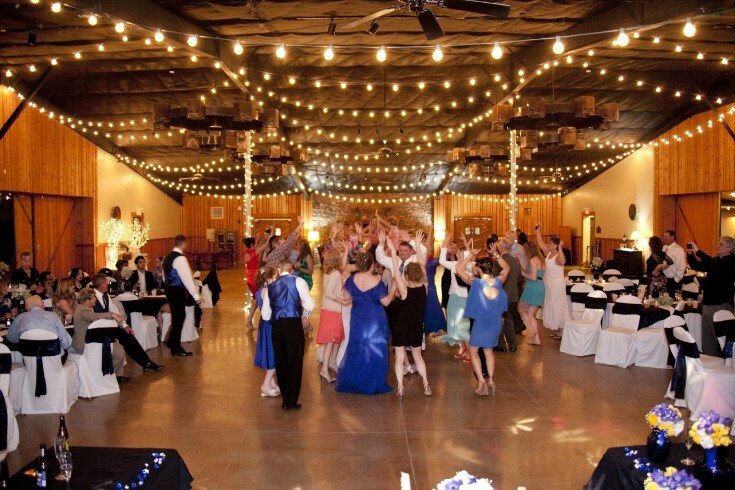 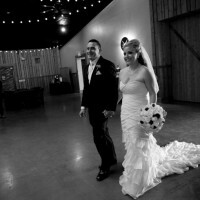 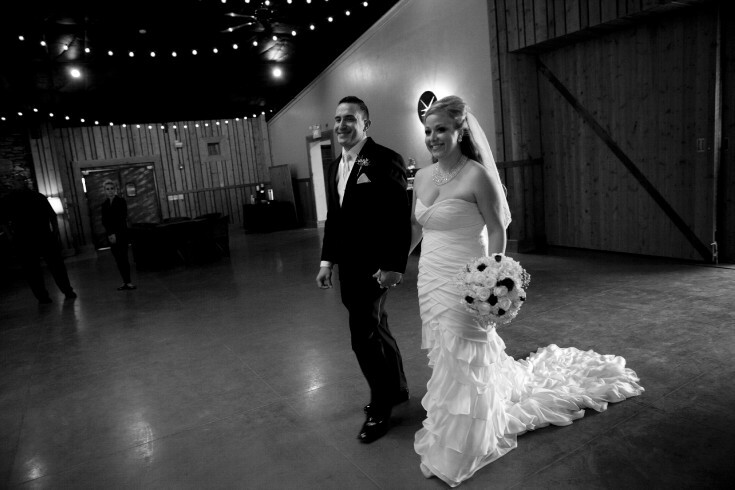 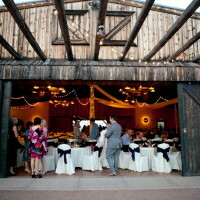 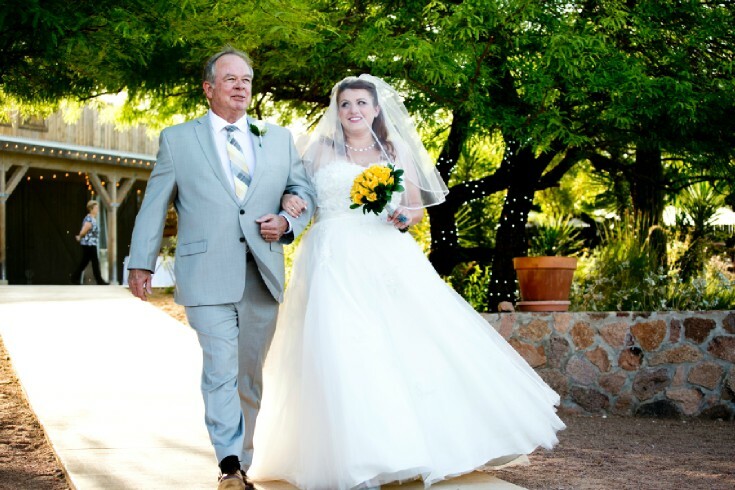 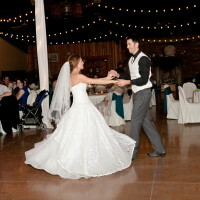 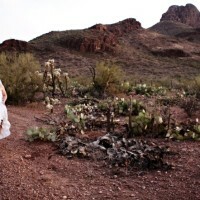 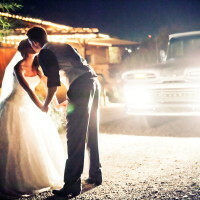 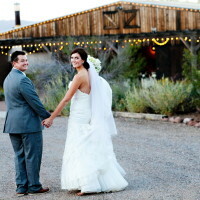 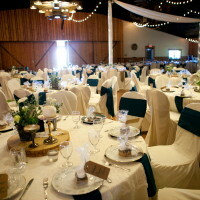 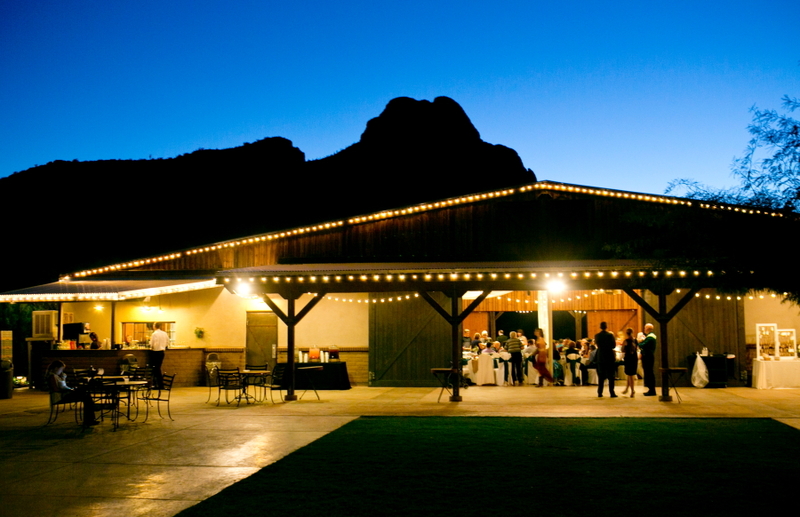 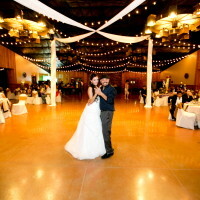 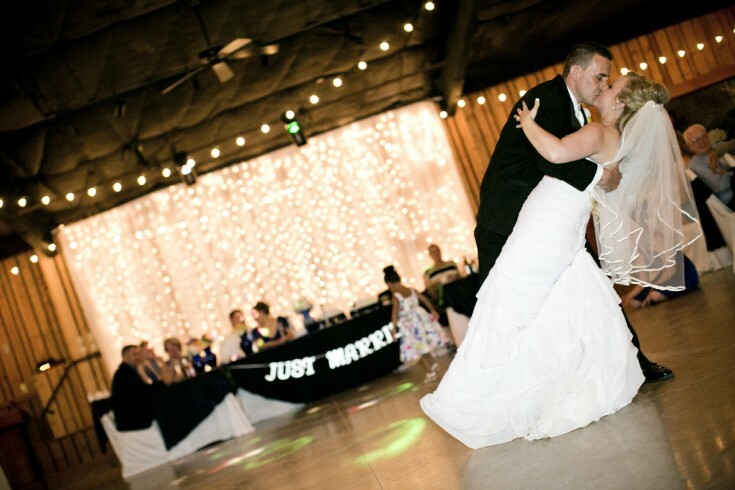 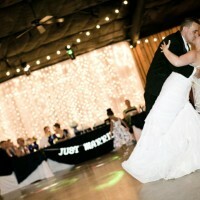 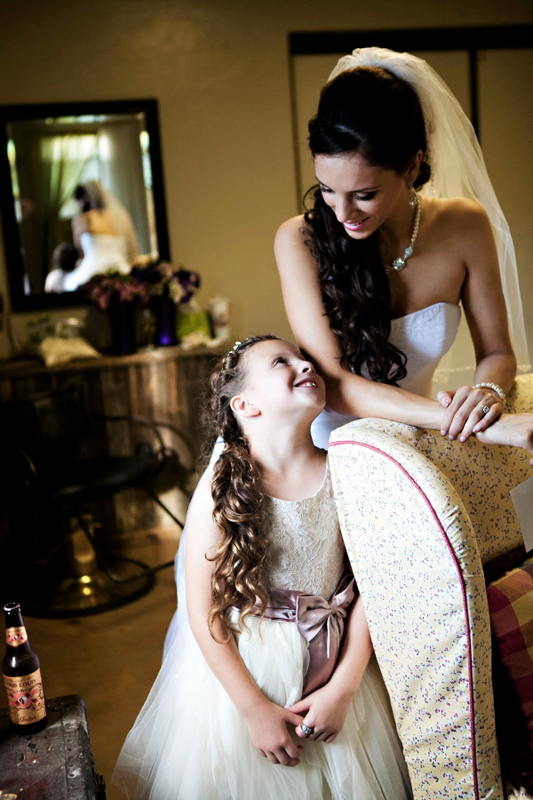 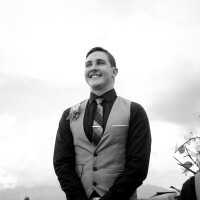 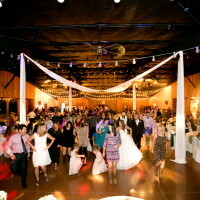 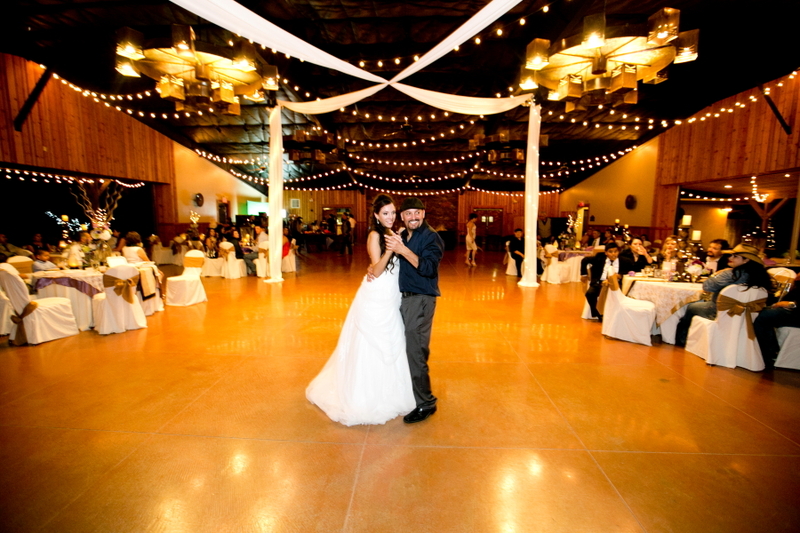 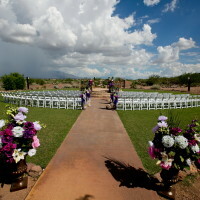 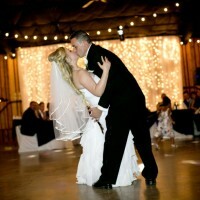 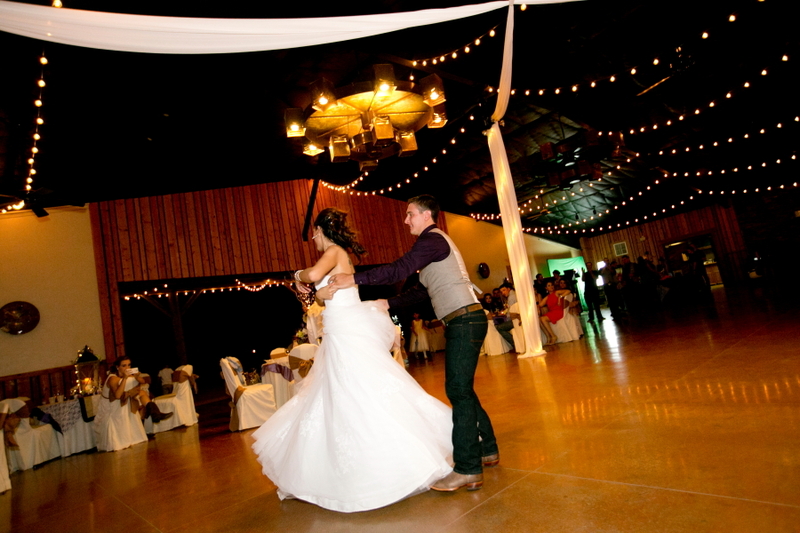 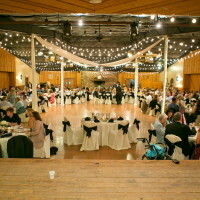 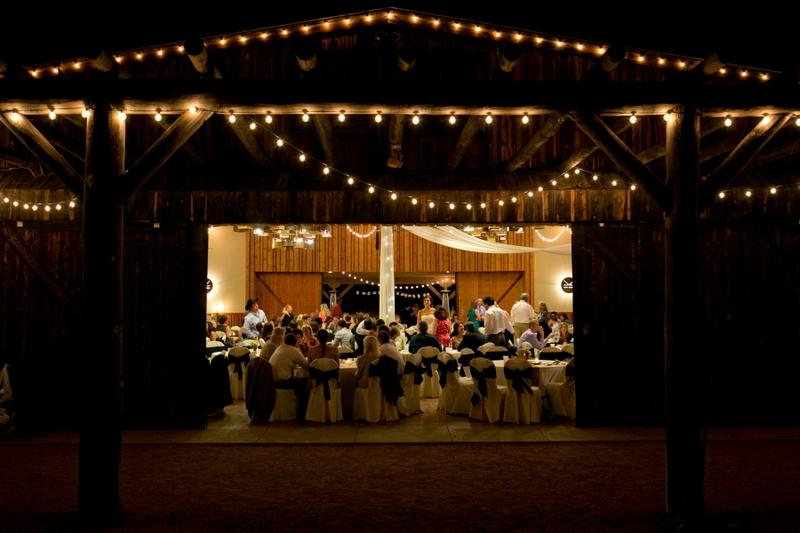 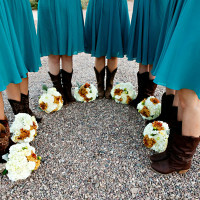 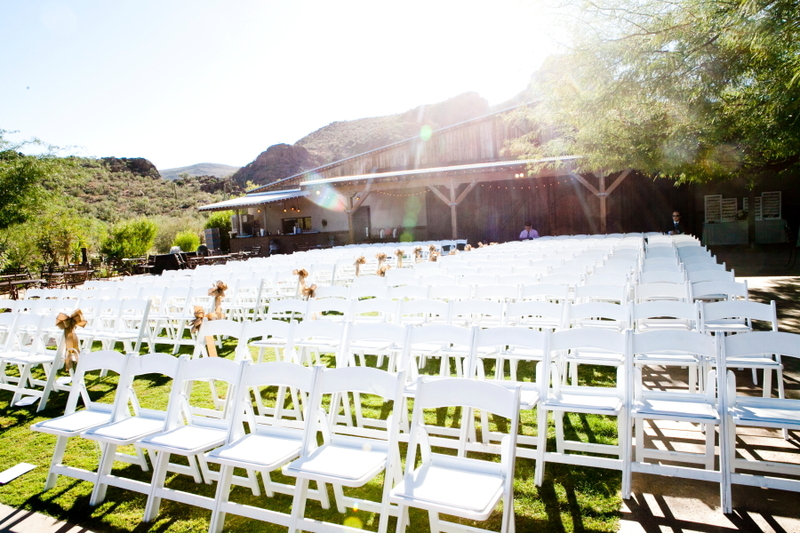 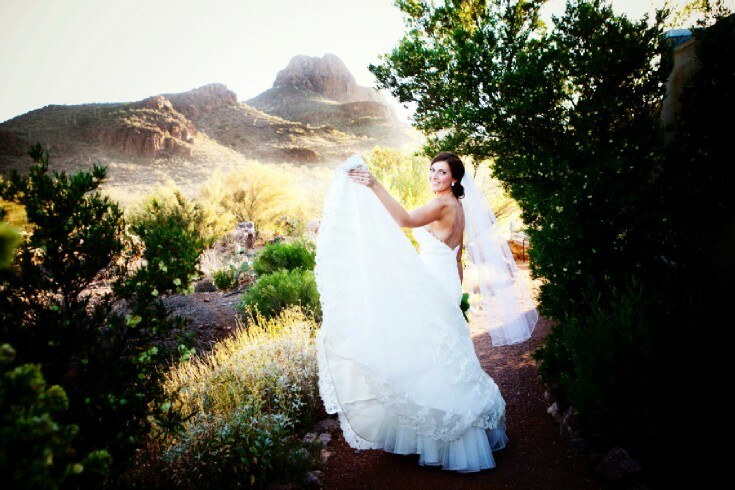 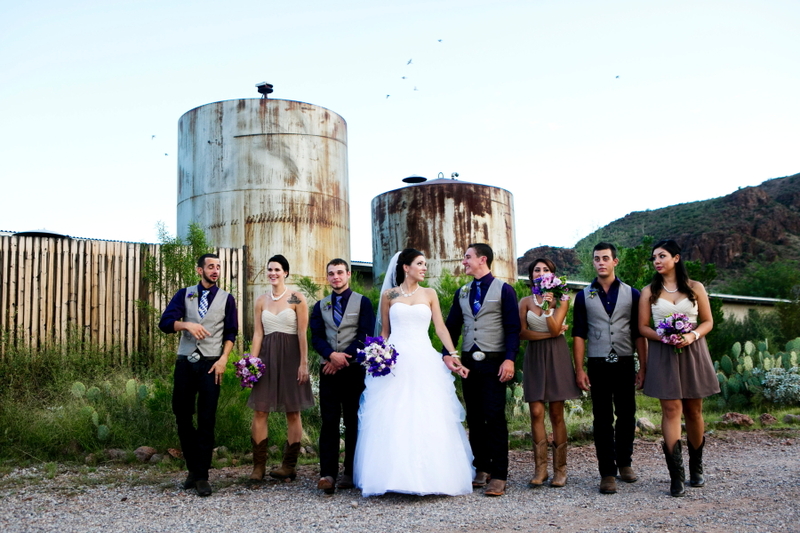 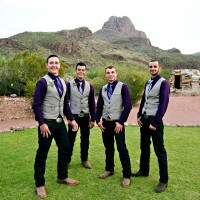 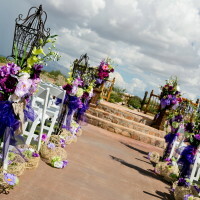 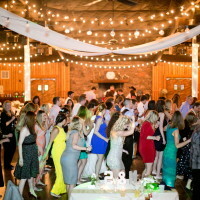 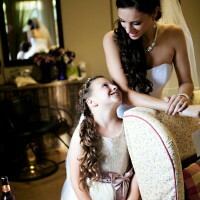 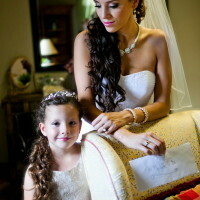 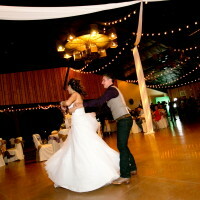 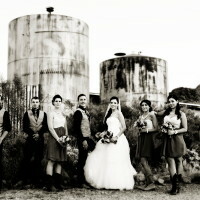 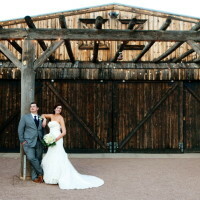 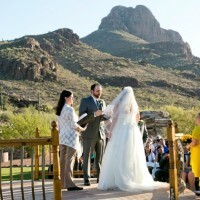 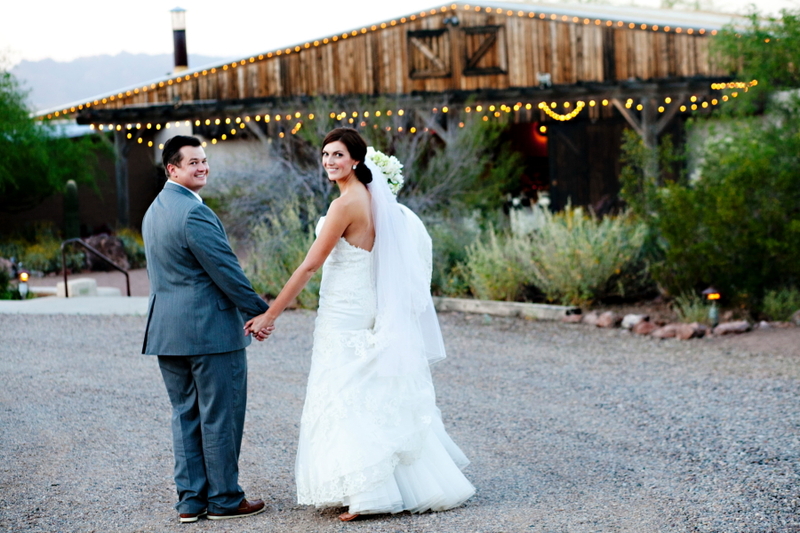 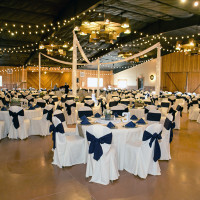 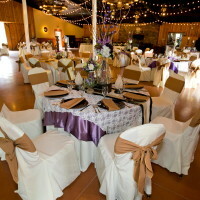 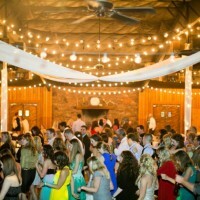 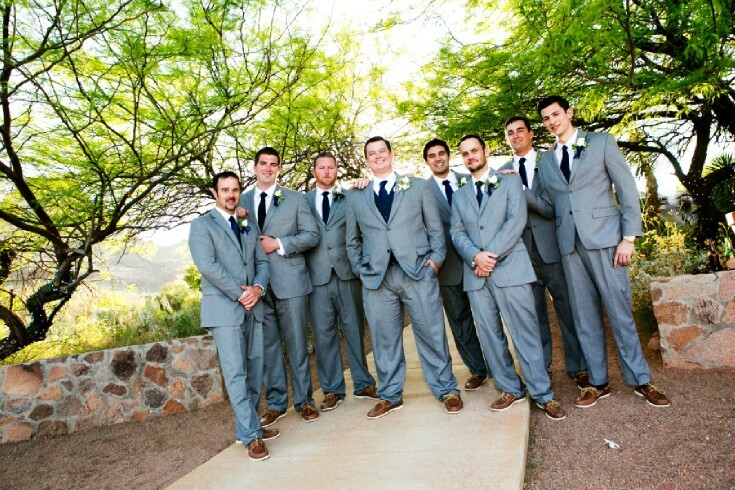 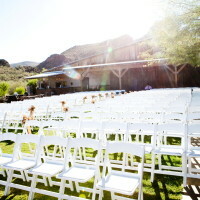 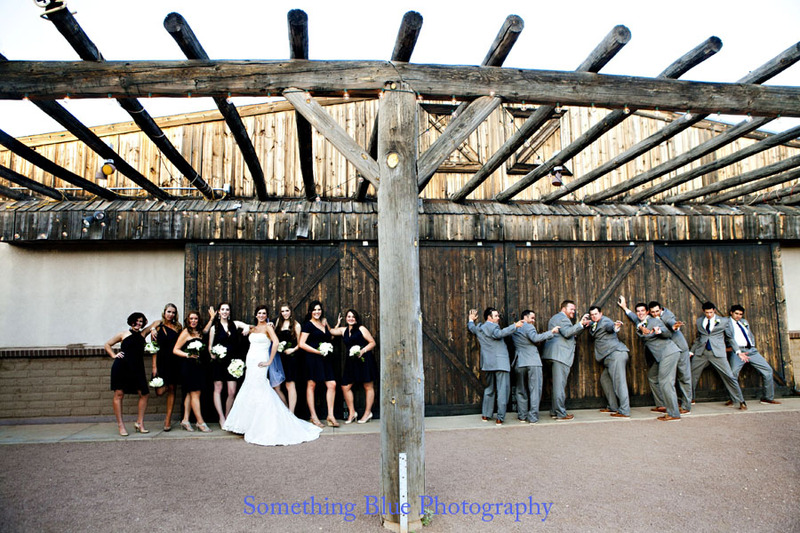 Stardance is the only wedding venue in Tucson with a Barn. 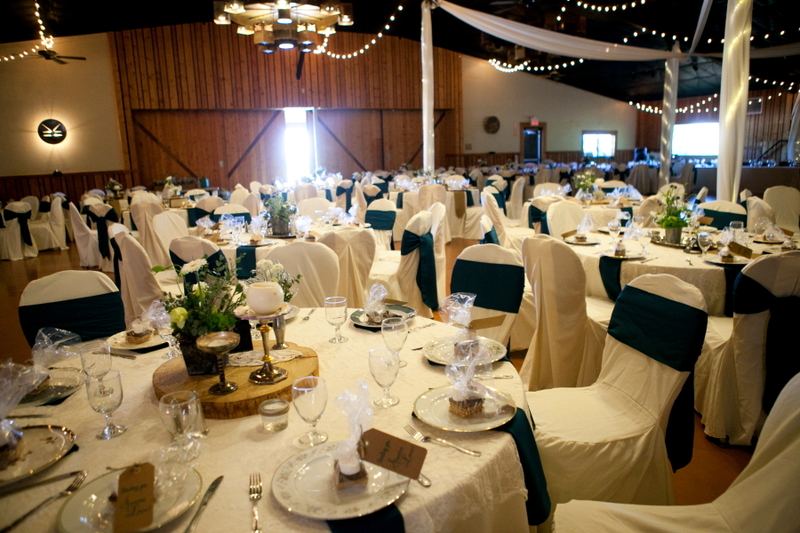 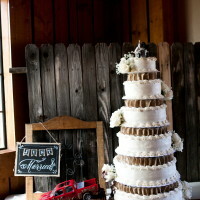 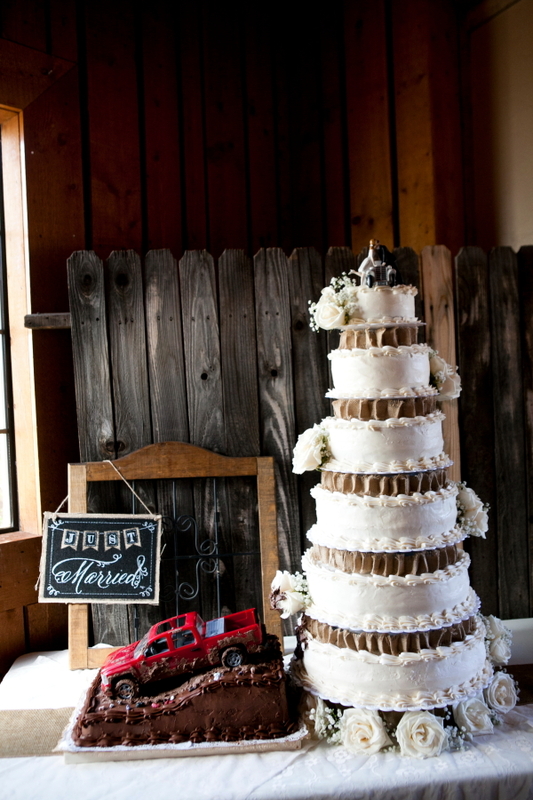 This venue screams rustic, western, or shabby chic. 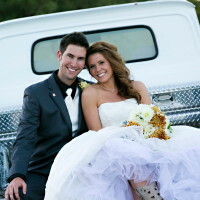 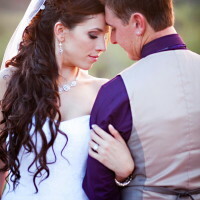 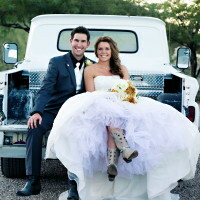 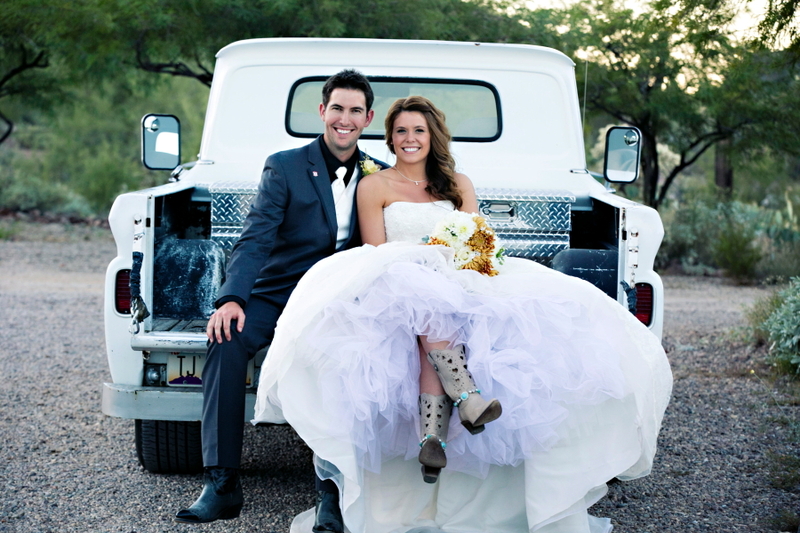 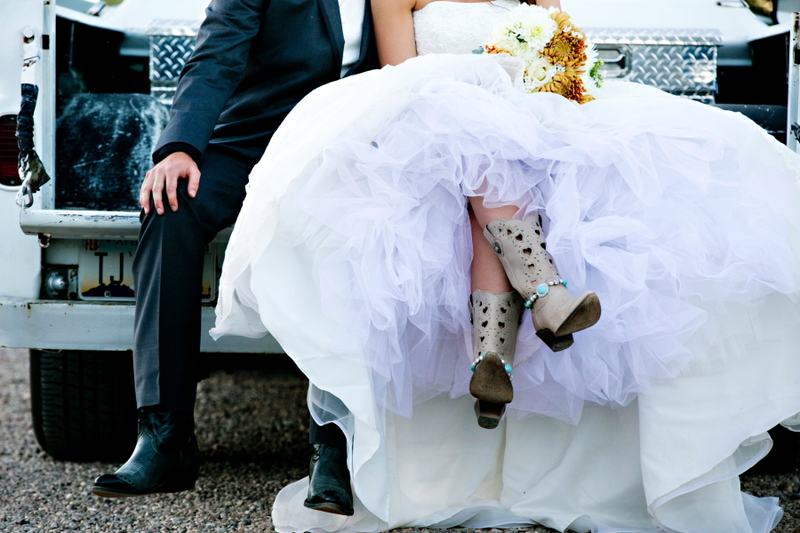 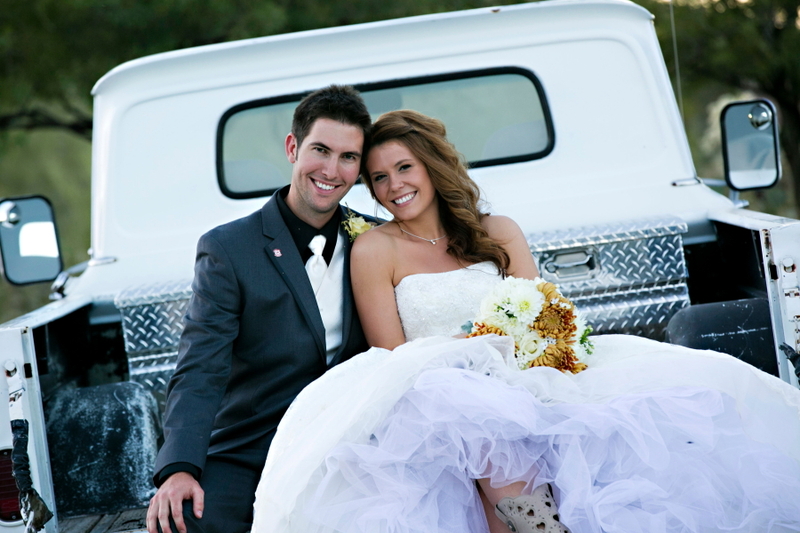 Our favorite is when our bride and grooms combine bling and glam with one of those themes. 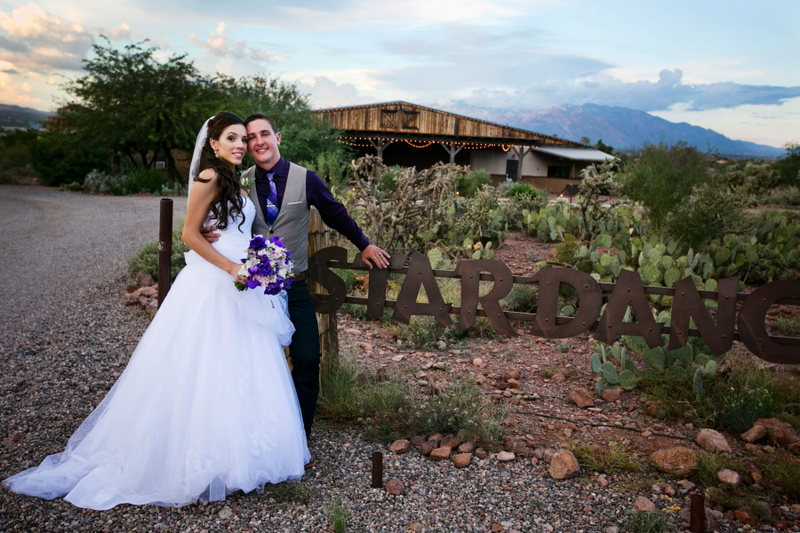 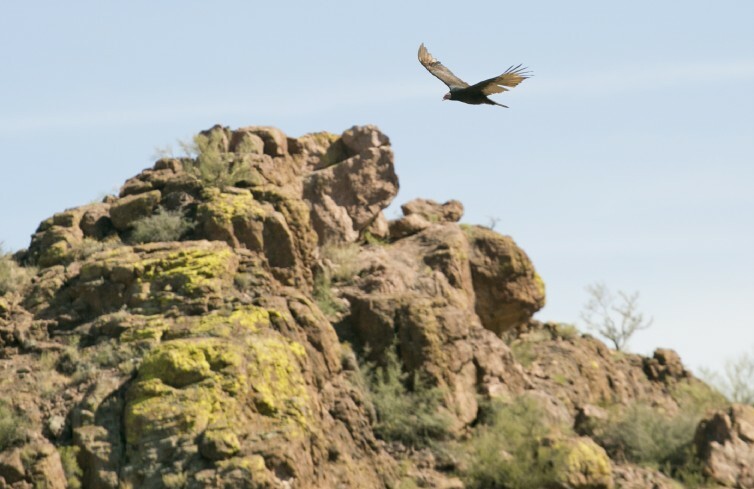 Stardance is surrounded by the Tucson desert landscape and views to the East are stunning. 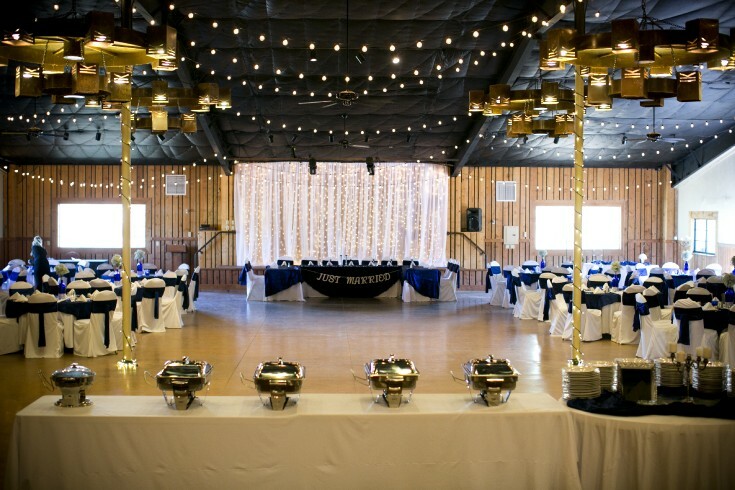 The main ceremony location is very unique. 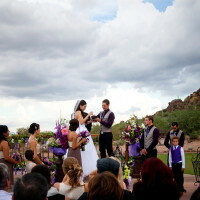 The platform that the couple stand on is round and three steps lead to the top. 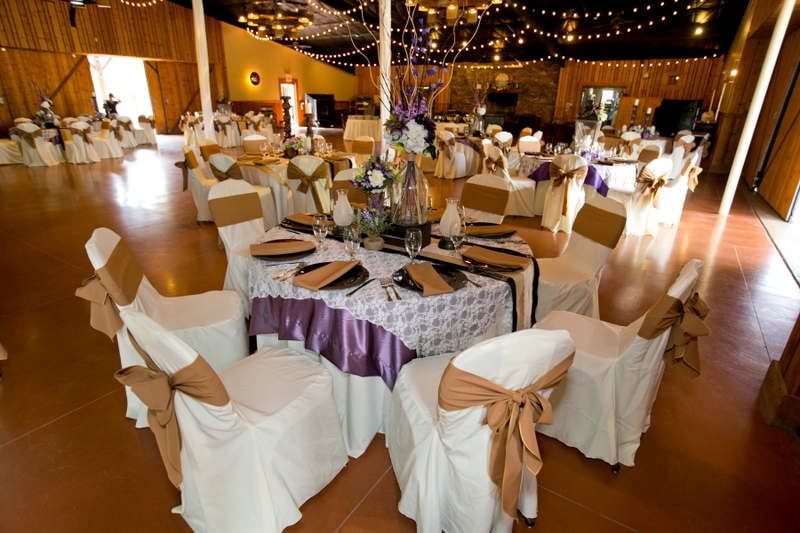 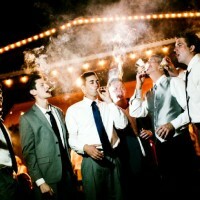 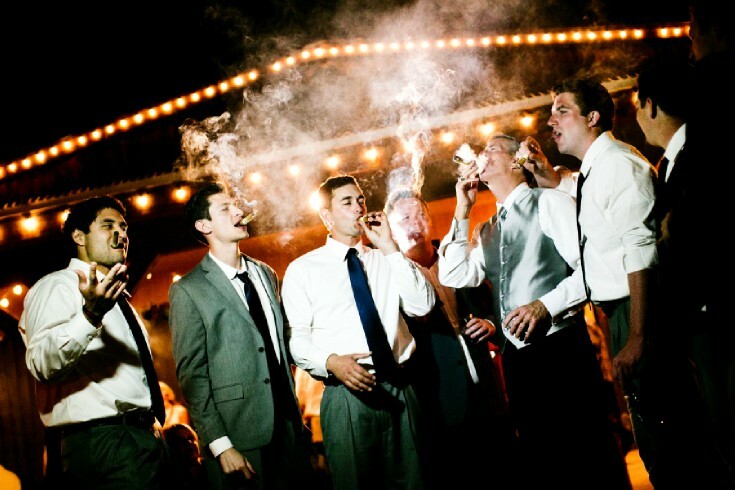 The guests then can be seated to one side of the circle or they can completely encompass the couple. 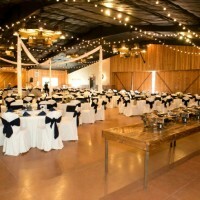 The reception site is enormous and can hold up to 500 people. 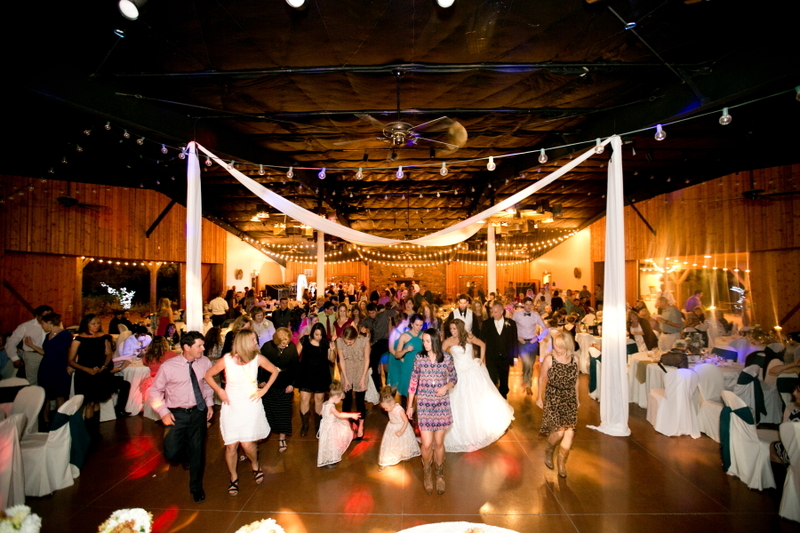 This makes the venue one of the few locations that can hold such a large group. 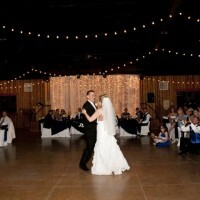 Stardance has twinkly lights hanging from the ceilings to give a fun ambiance to dance under. 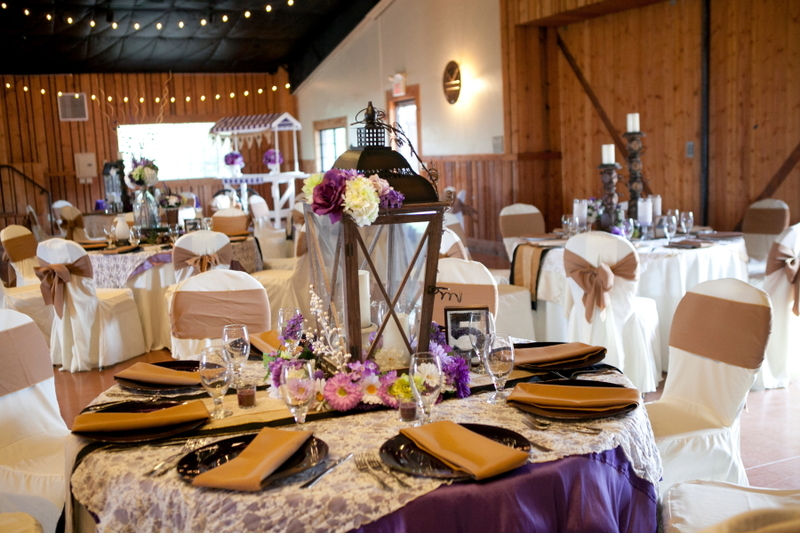 The staff at Stardance can help you create one of a kind centerpieces. 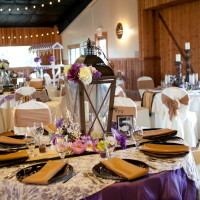 They have a bountiful supply of vintage items and plate ware that you can choose from. 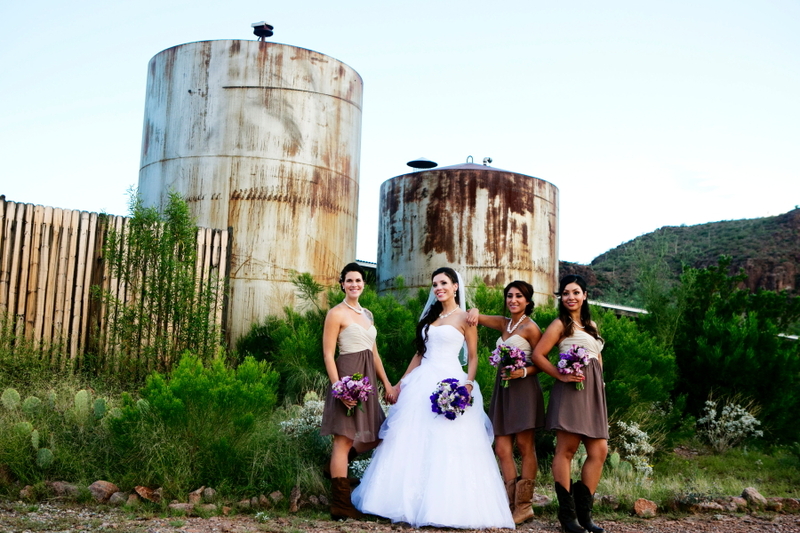 There are two silo type structures with interesting patina on site and it is just another layer of cuteness that this venue possesses. 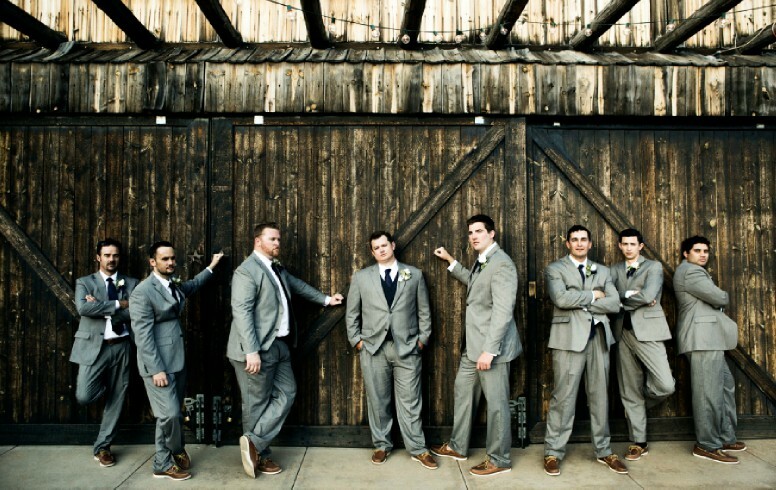 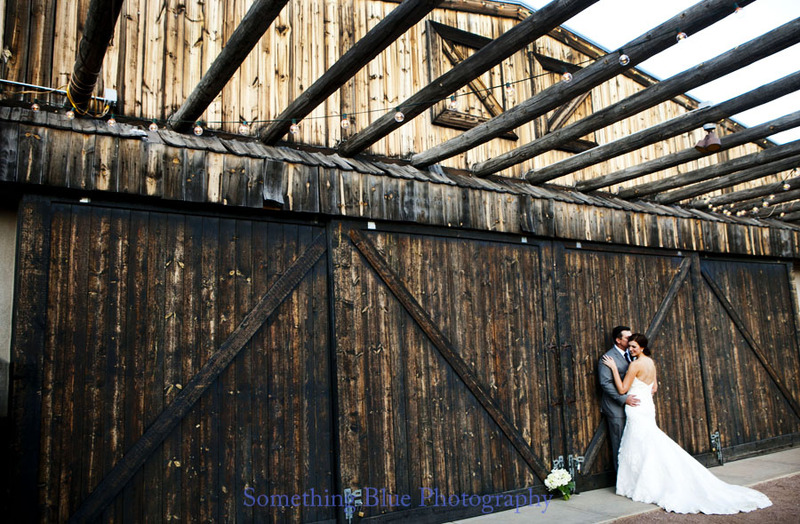 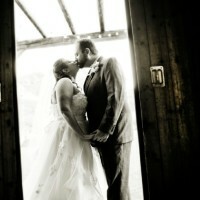 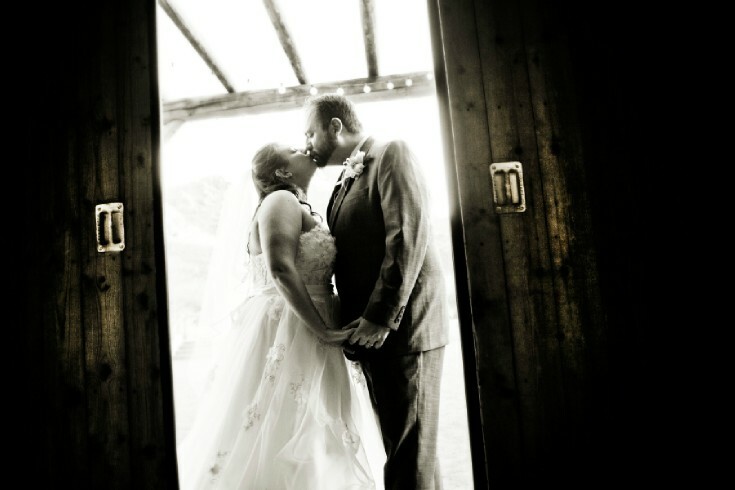 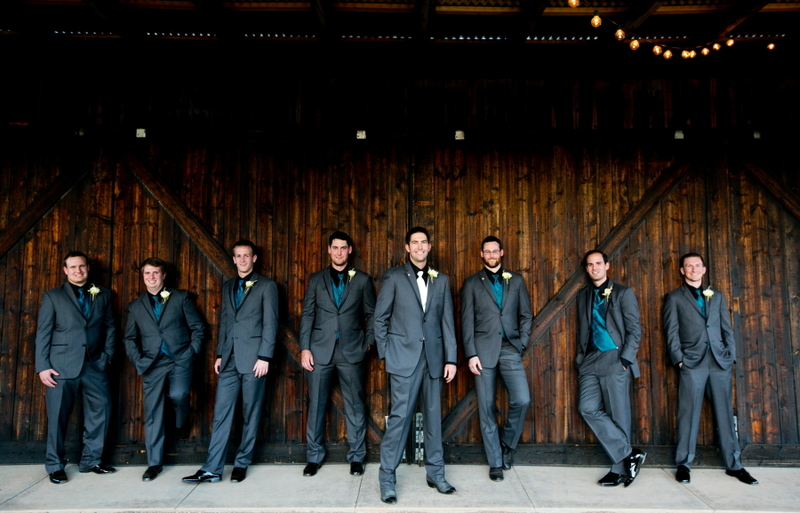 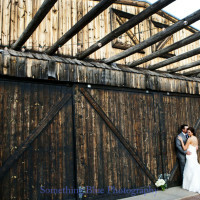 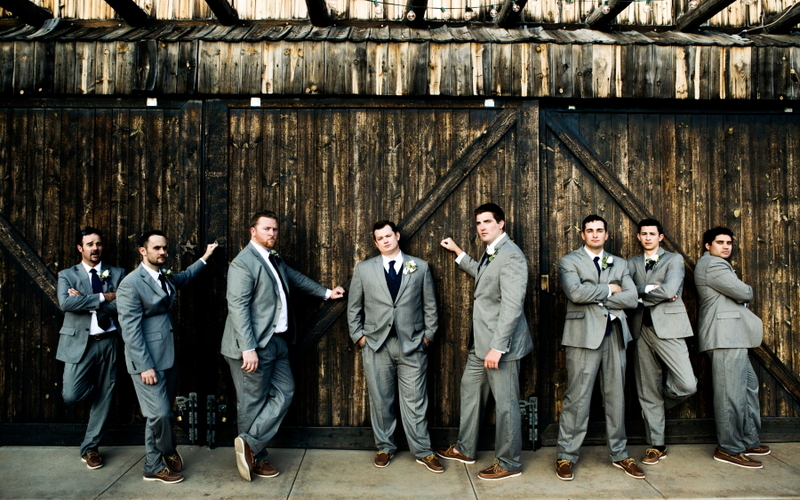 The wooden barn doors is a rustic and a desirable back drop for couple and wedding party photos. 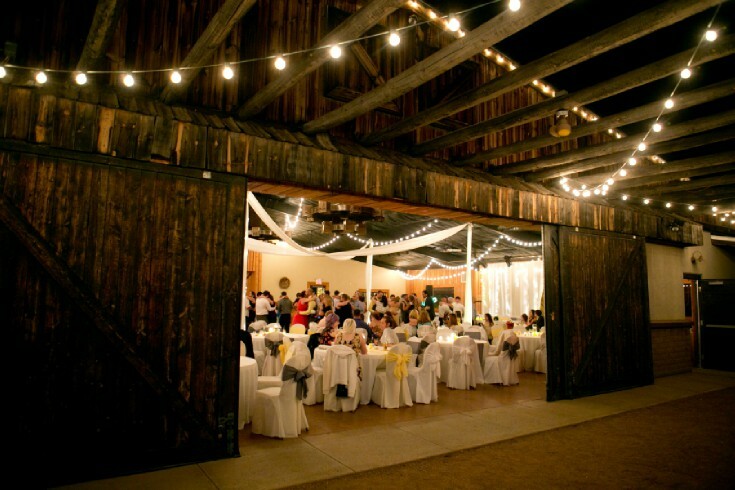 These same wooden barn doors open during the reception to allow the night air to stream through the venue. 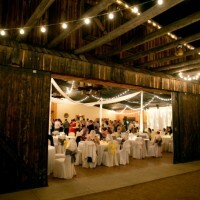 They even have fire pits if you want to incorporate s’mores late in the evening. 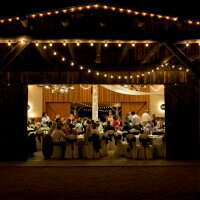 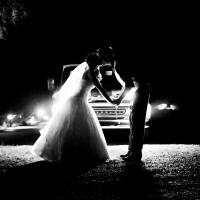 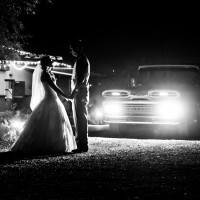 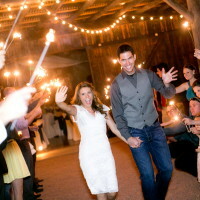 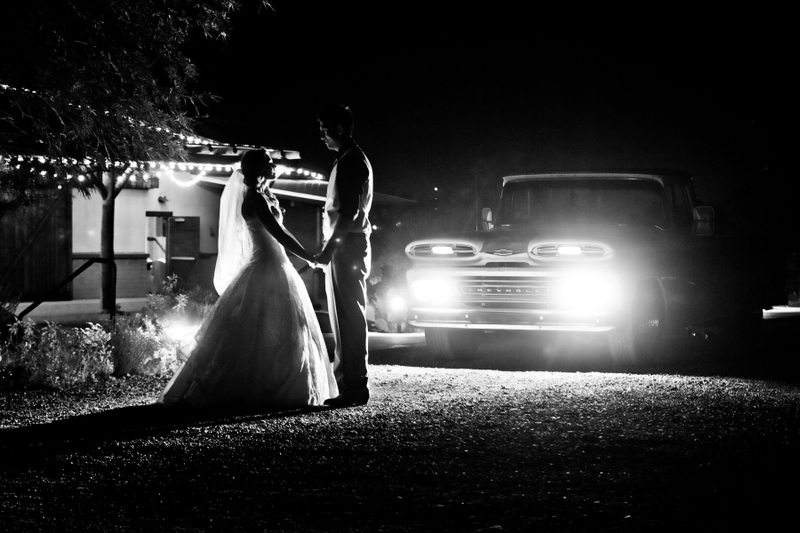 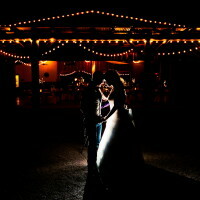 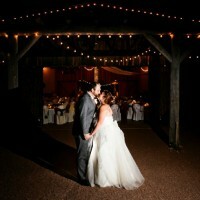 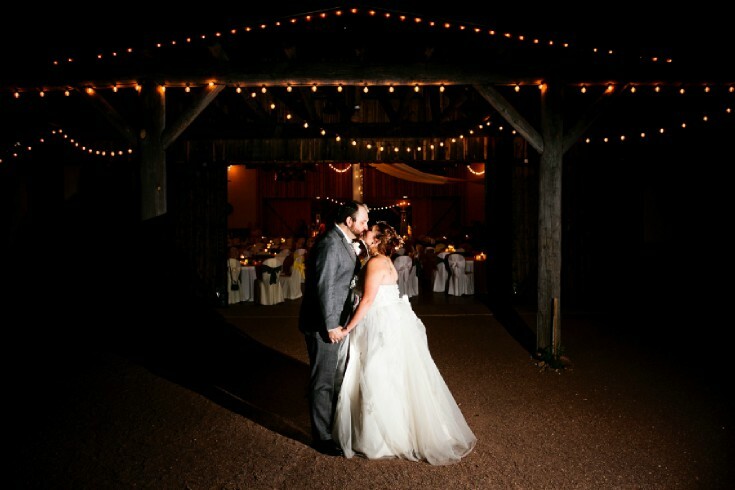 Do not forget to let us take night photos in front of the barn with the twinkling lights behind you. 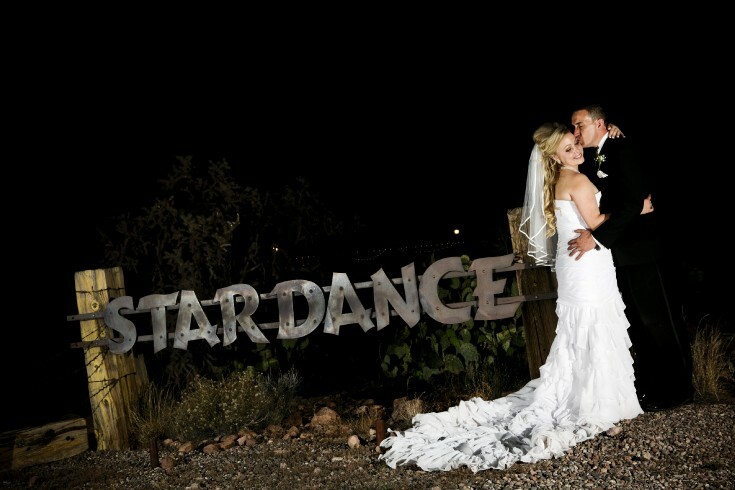 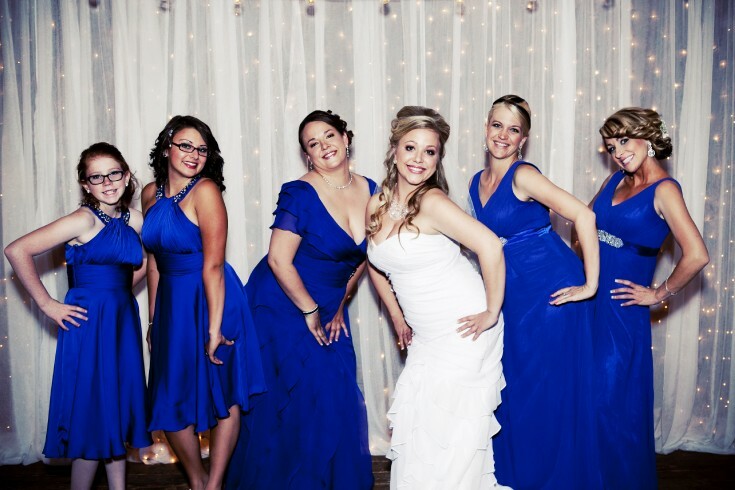 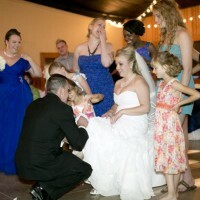 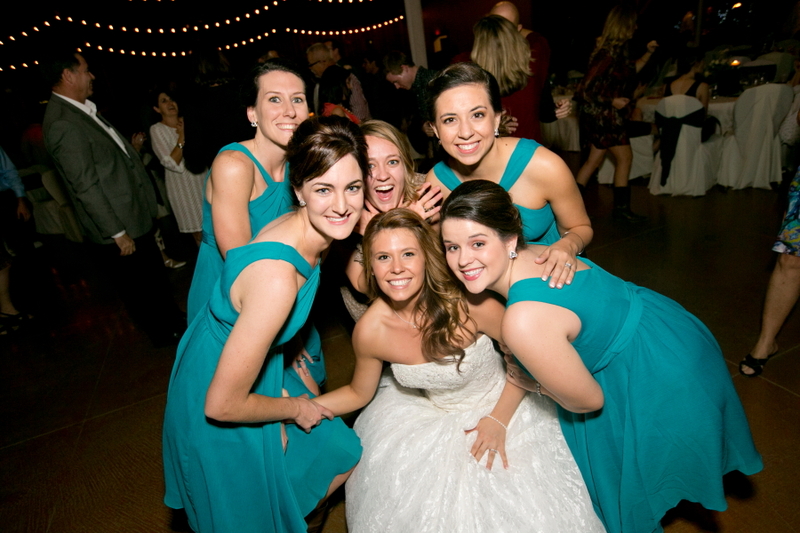 If you would like Something Blue to photograph your wedding at Stardance, just ask Kelly or Ron. 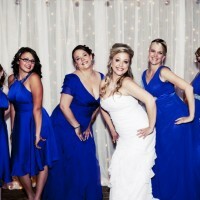 They are wonderful people and very helpful. 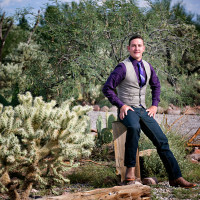 They are also owners to several other Tucson companies: 242 Park Ave, Rincon Market, Bates Mansion and Johnny Gibson Market.